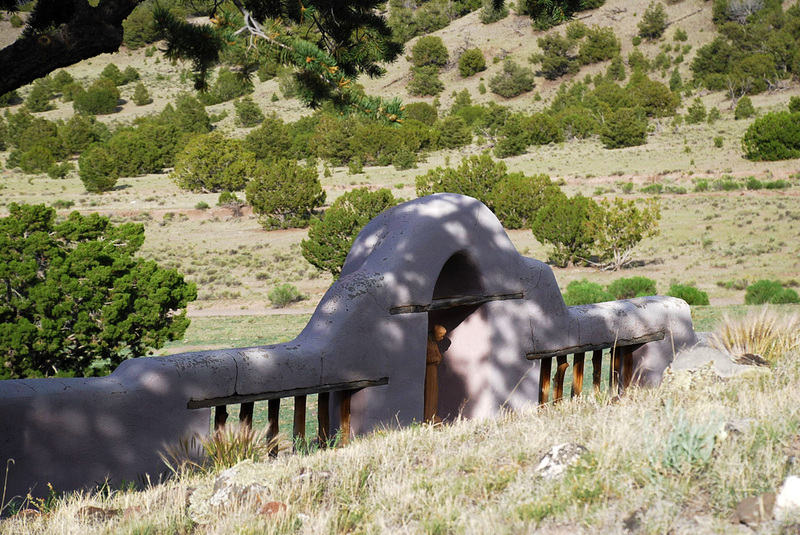 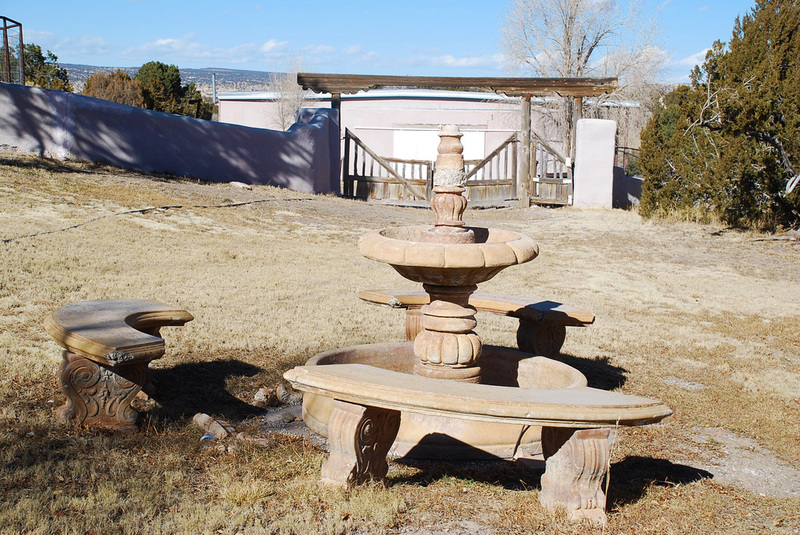 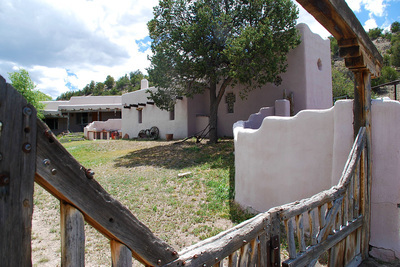 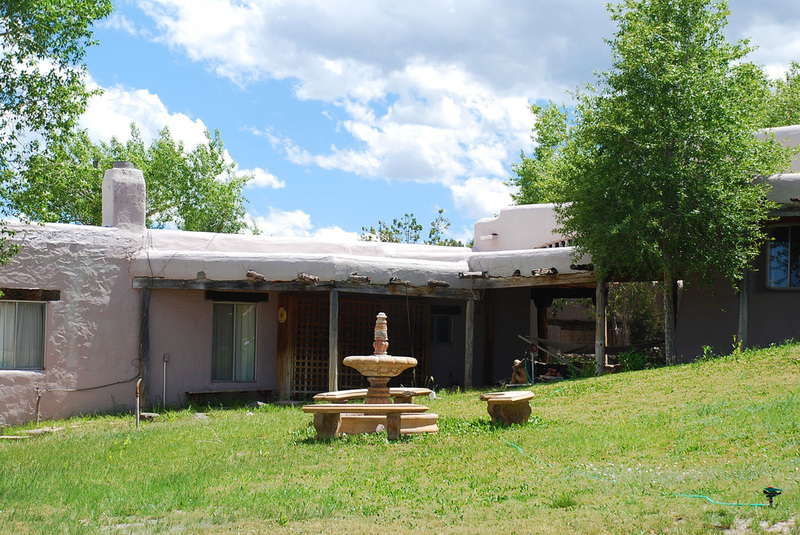 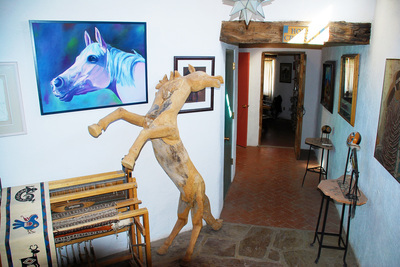 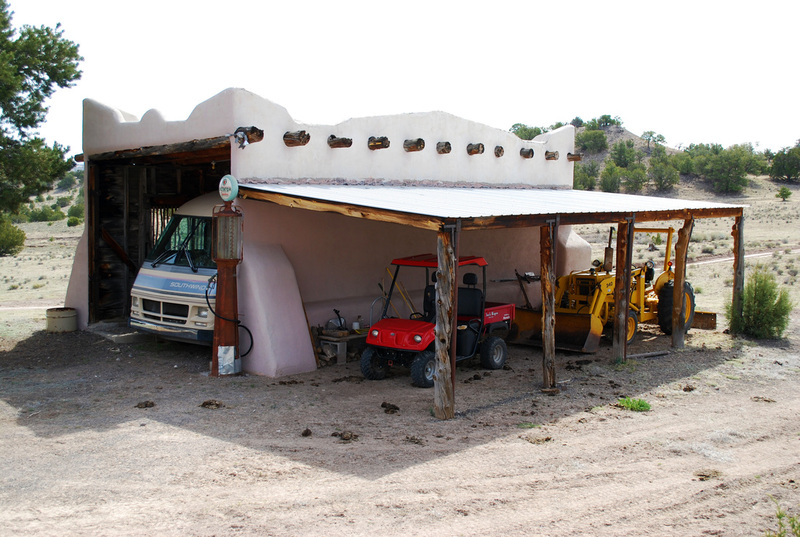 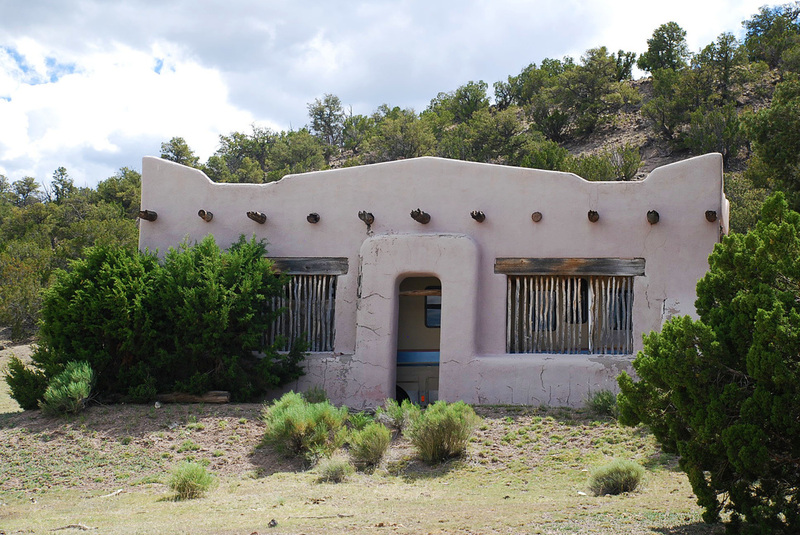 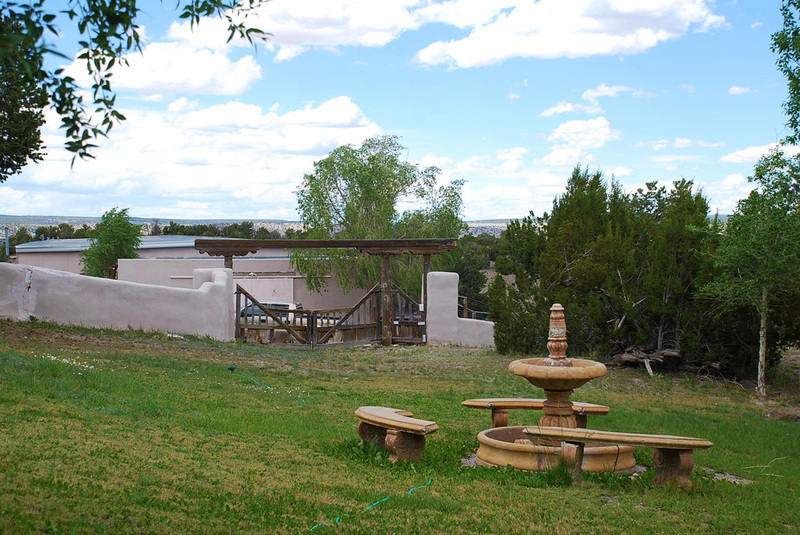 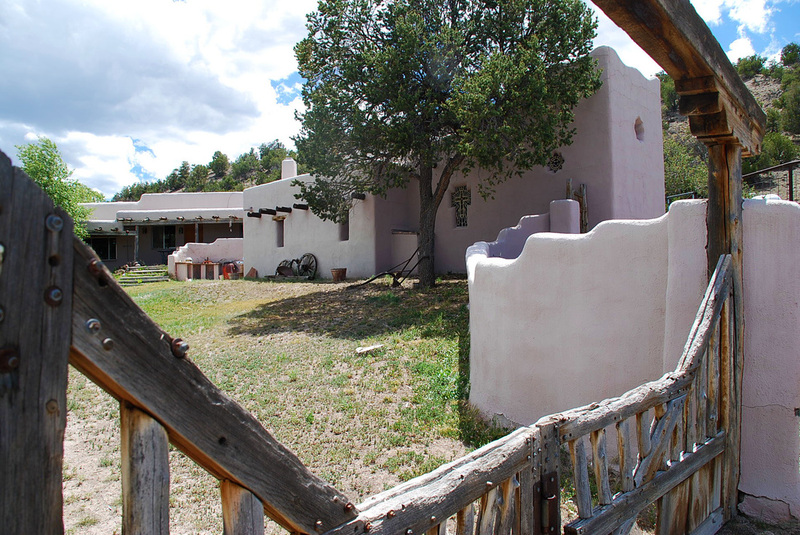 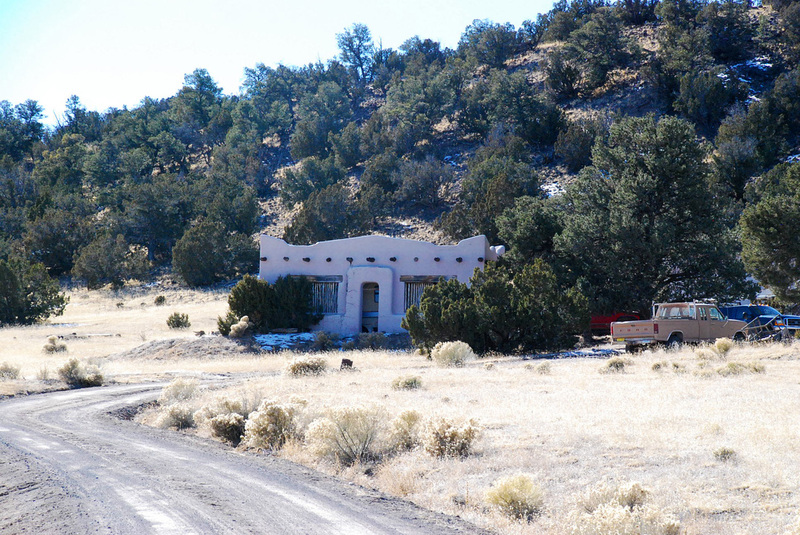 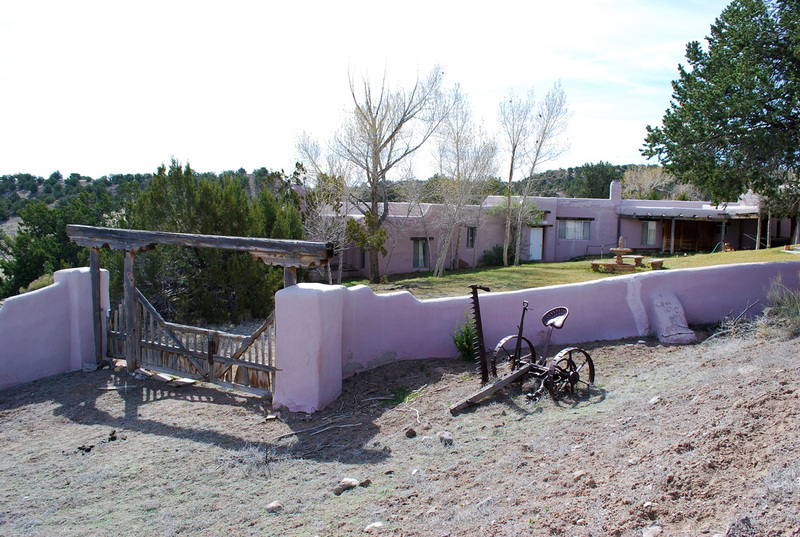 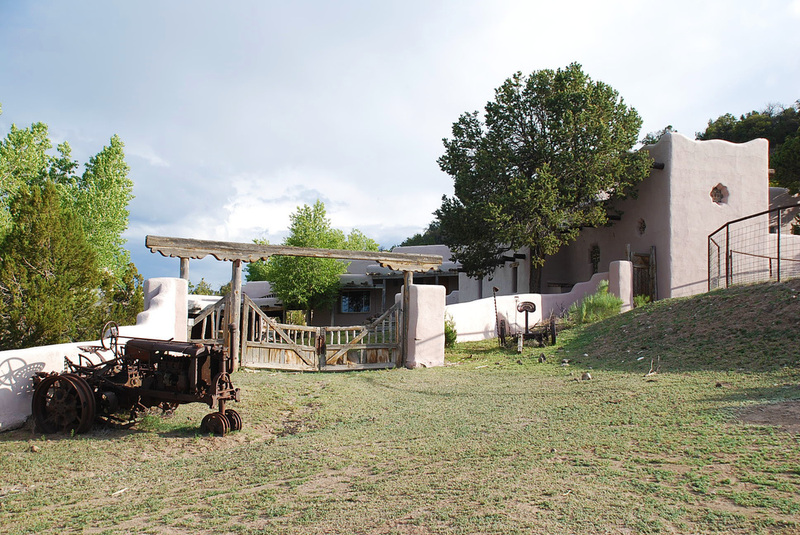 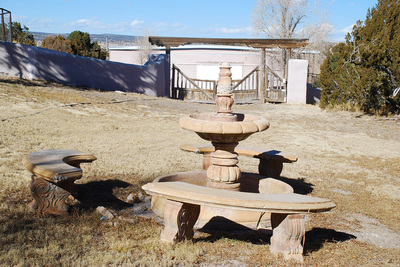 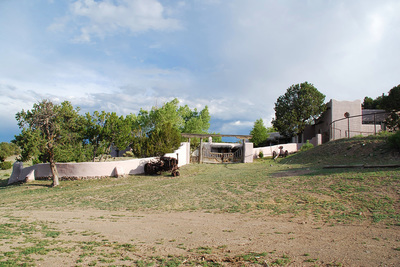 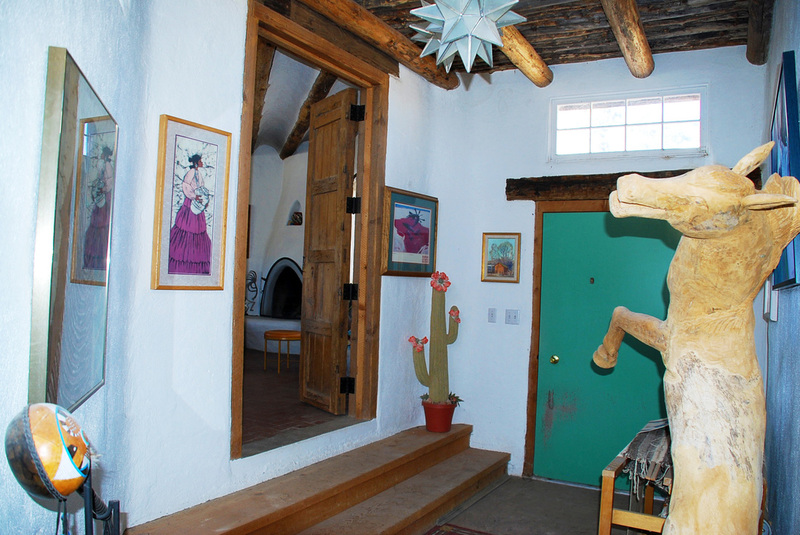 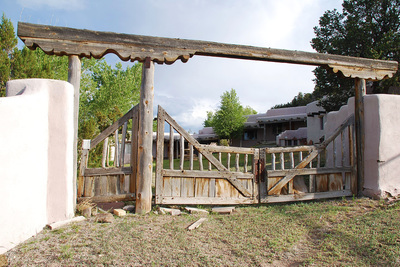 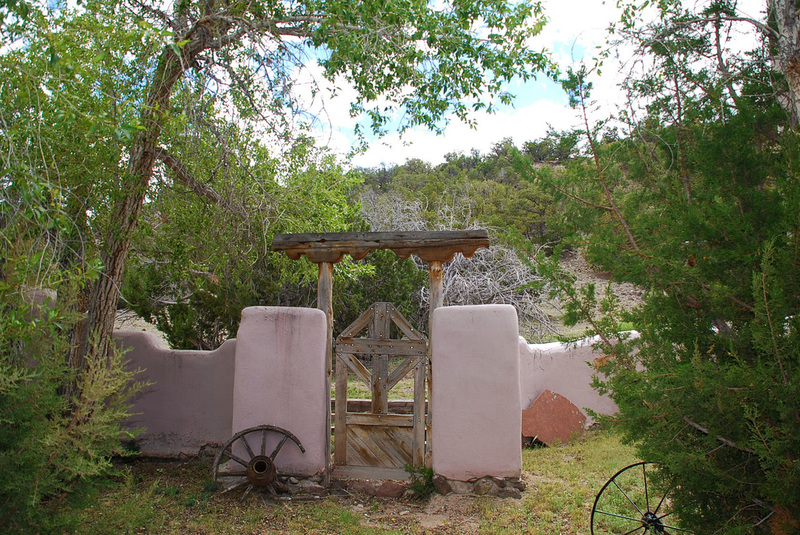 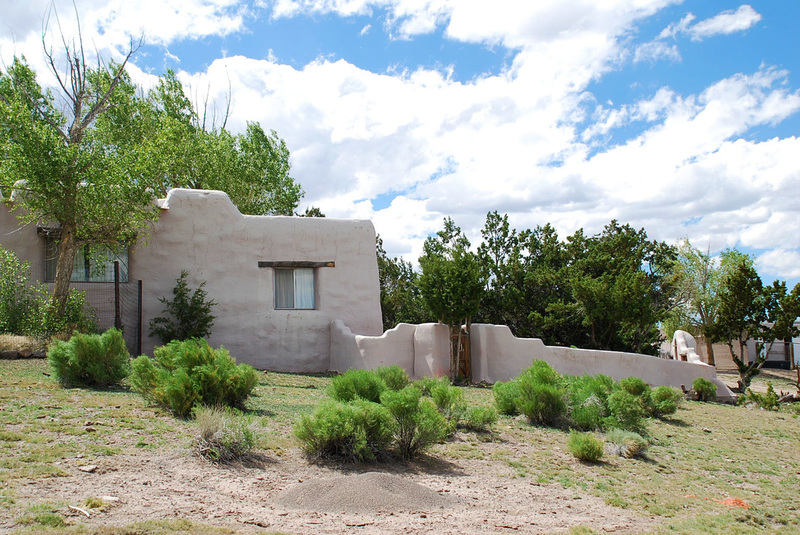 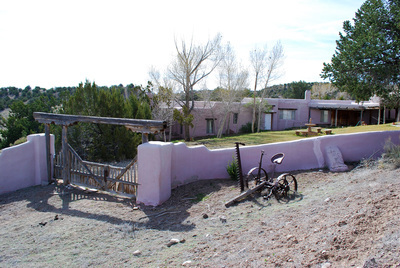 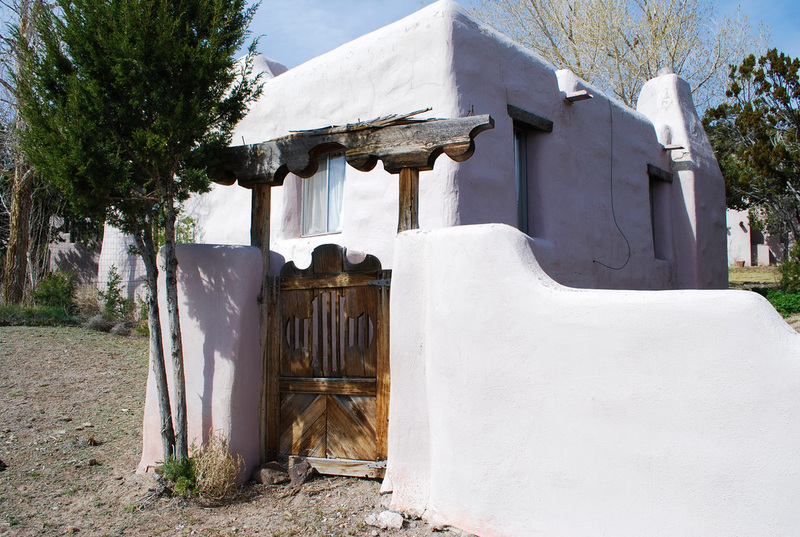 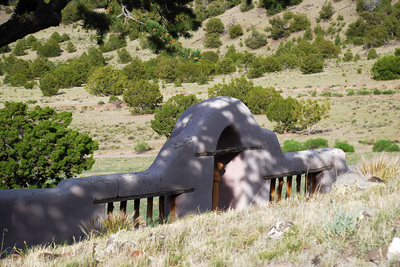 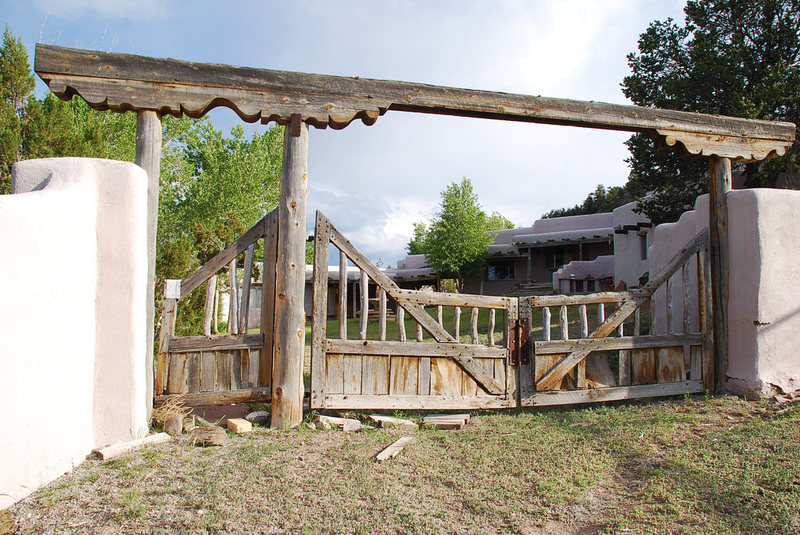 The 38 Bar's 2,223 sqft Main House is an artfully hand-crafted hacienda-style ranch designed and built in the 1970's by the Western artist R. Brownell McGrew, walls are up to 16" thick and fully insulated. 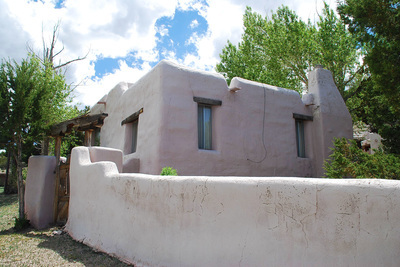 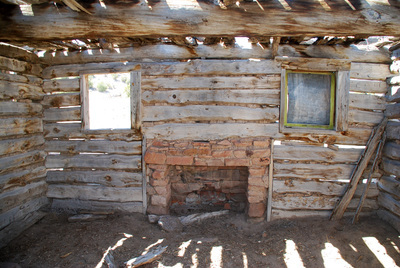 Construction is cinder block and adobe brick with plaster/stucco covering. 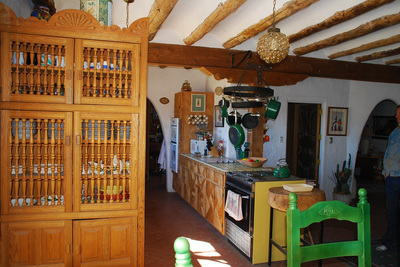 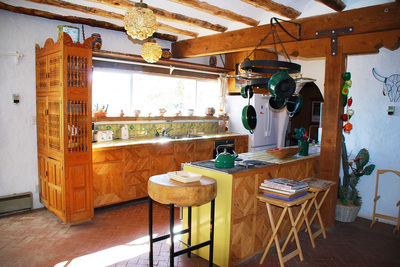 Large vigas with varied styles of latillas, storm sash windows throughout. 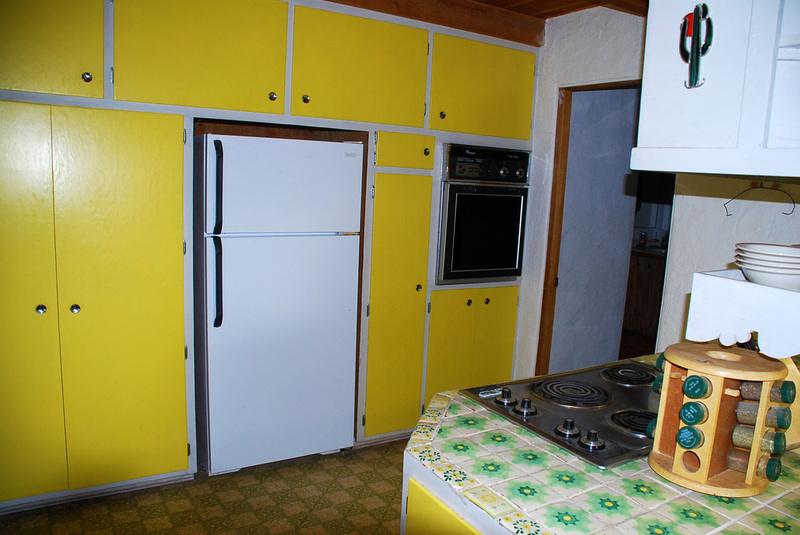 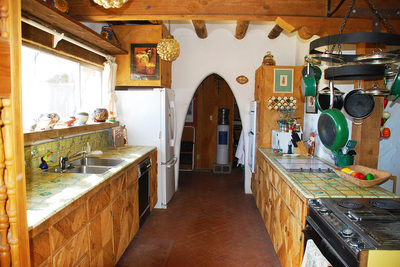 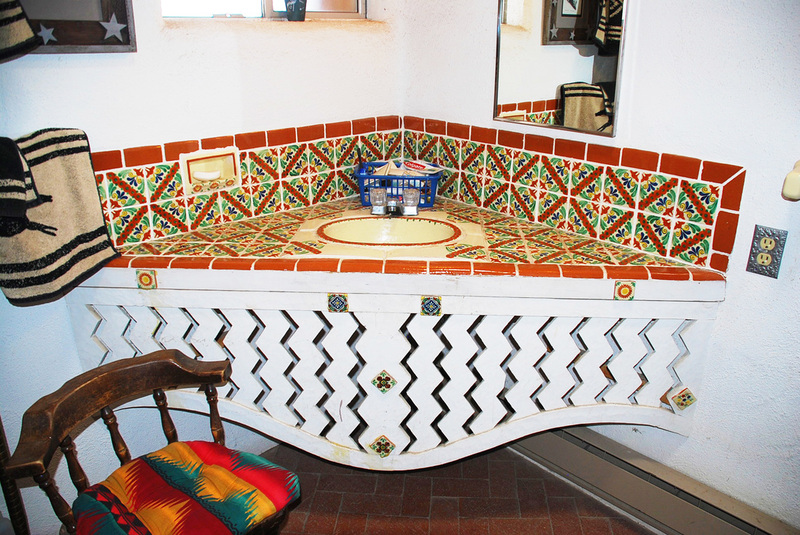 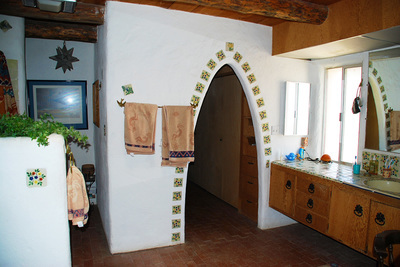 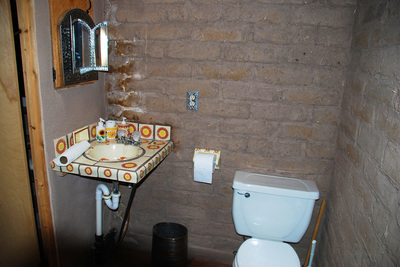 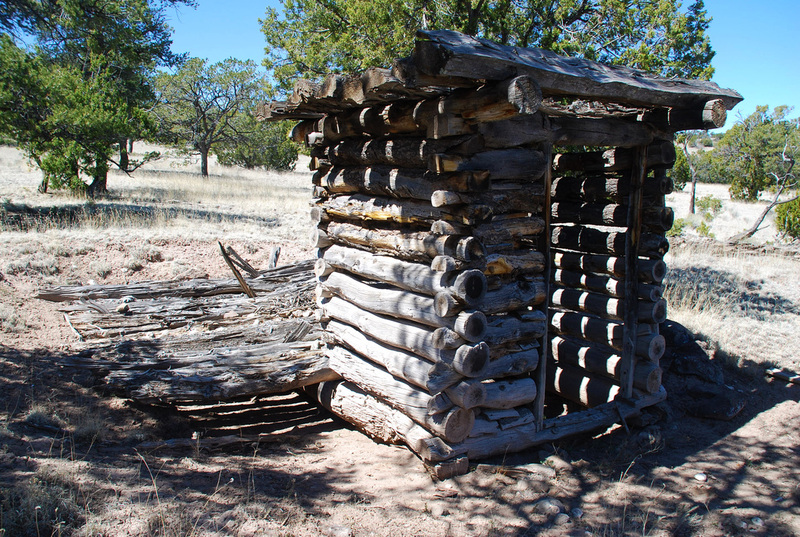 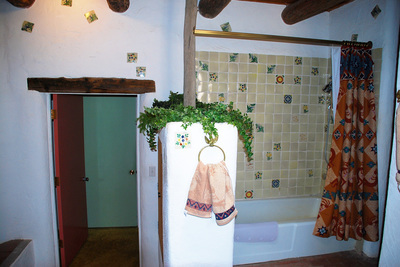 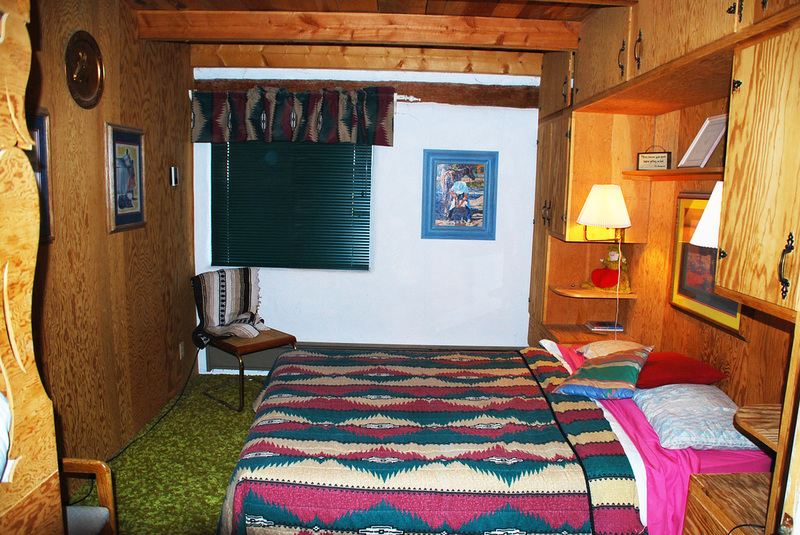 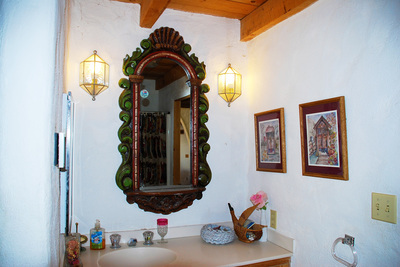 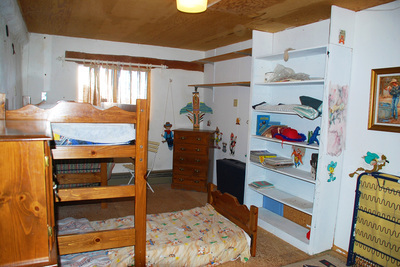 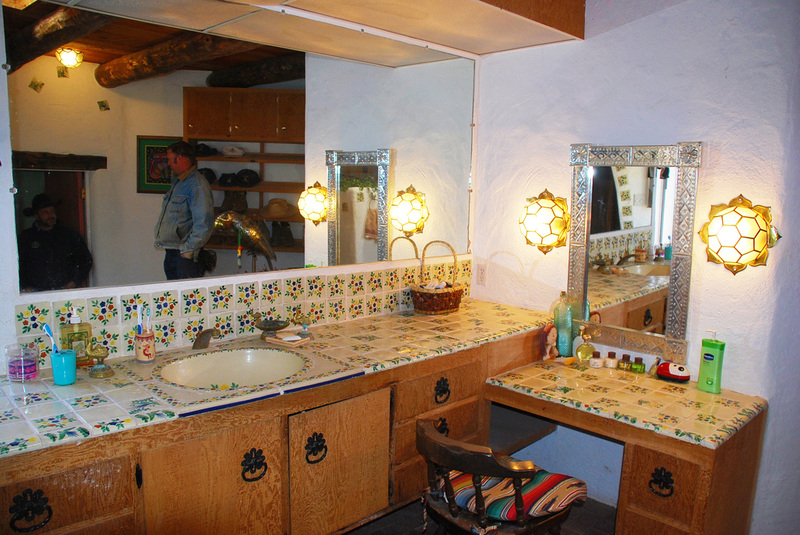 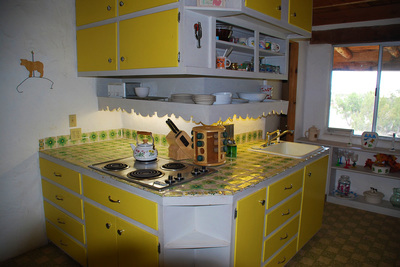 The house includes a den, sewing room, darkroom, guest room and bath with Mexican tile and ornamental hardware. 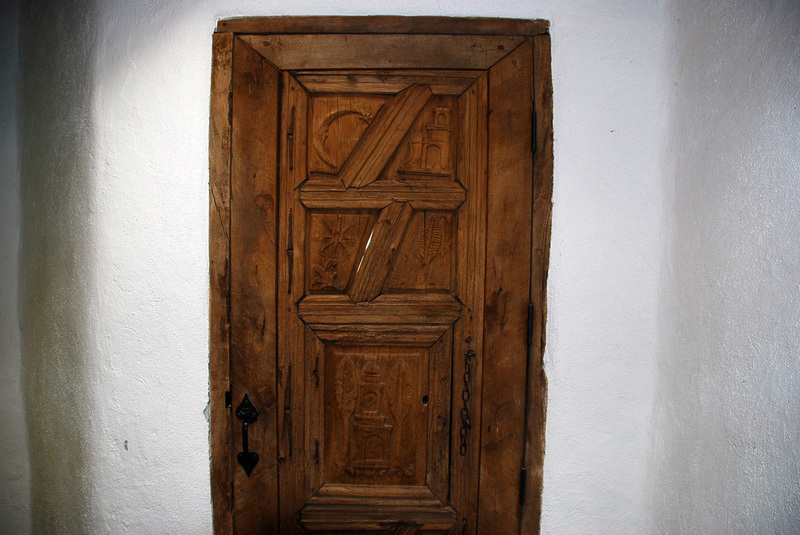 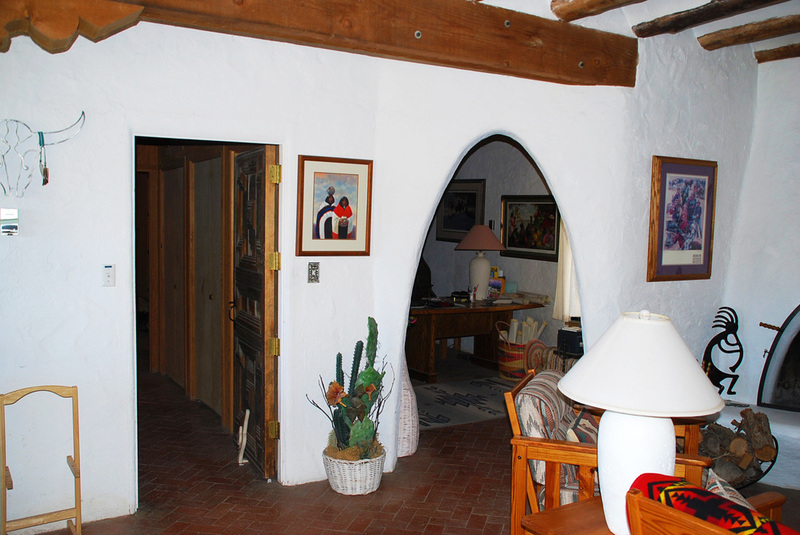 The foyer is of Laguna flagstone and there are five antique Spanish doors. 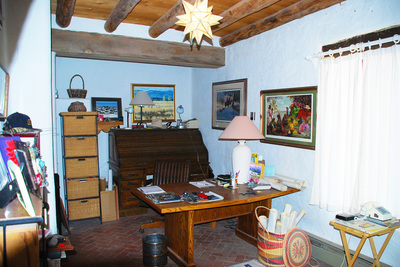 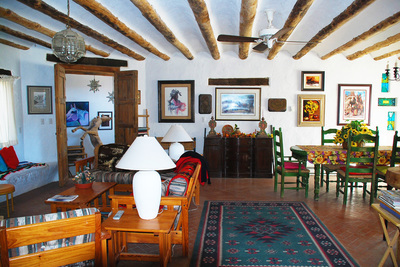 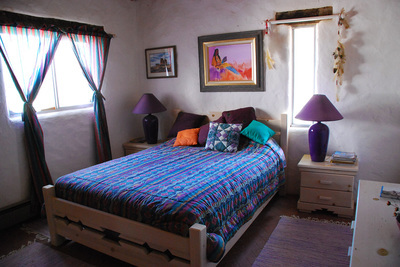 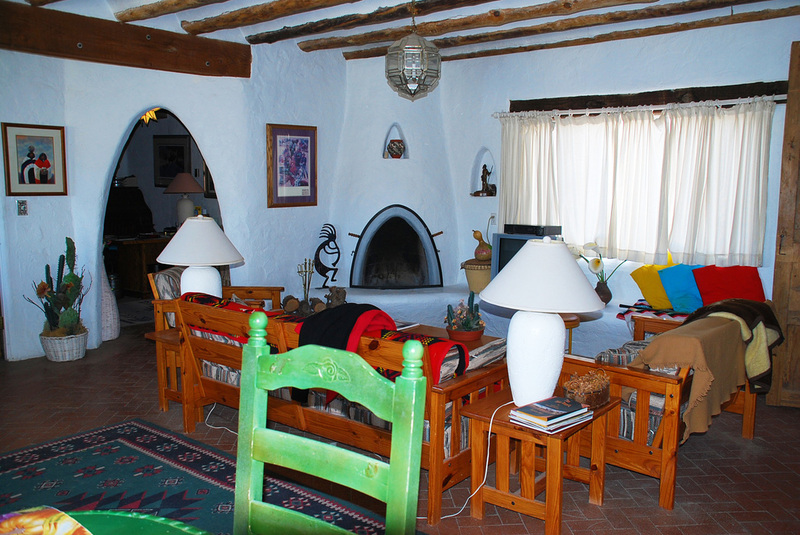 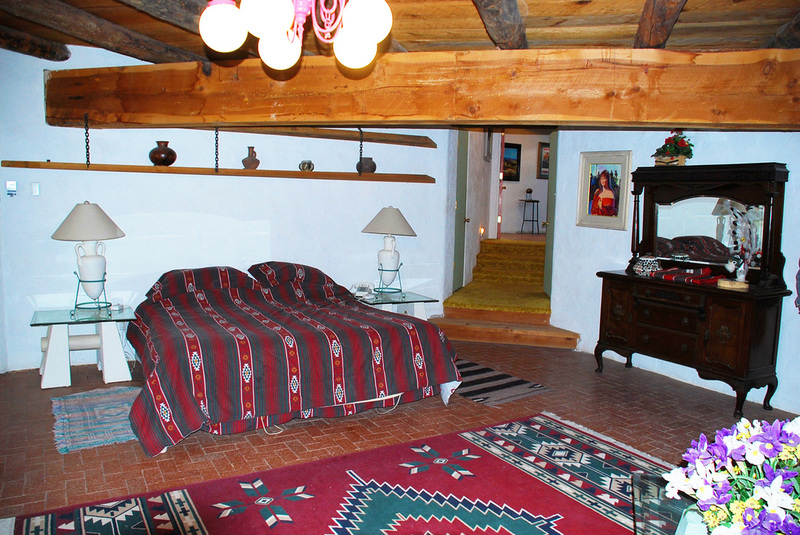 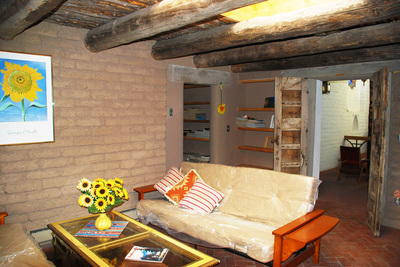 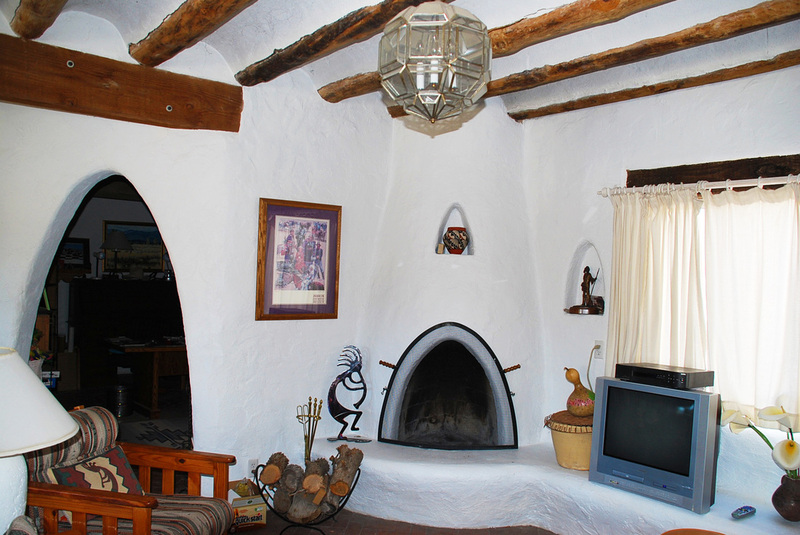 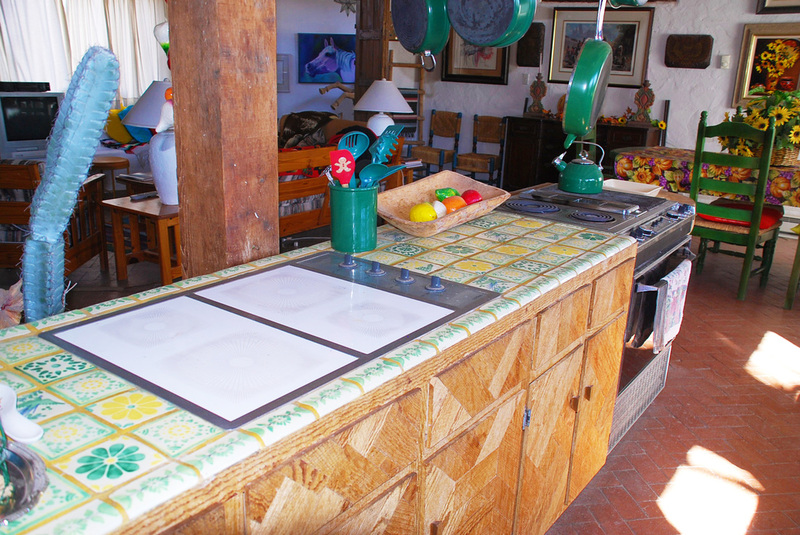 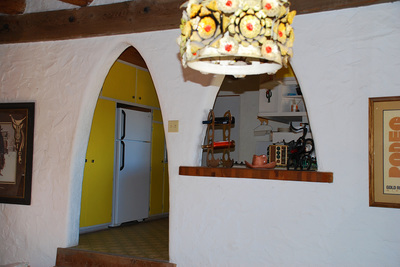 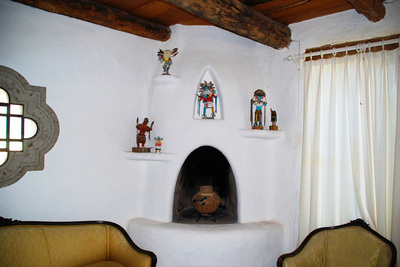 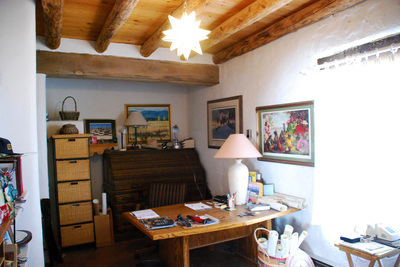 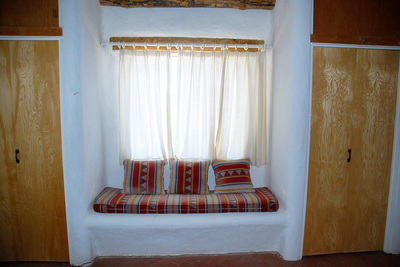 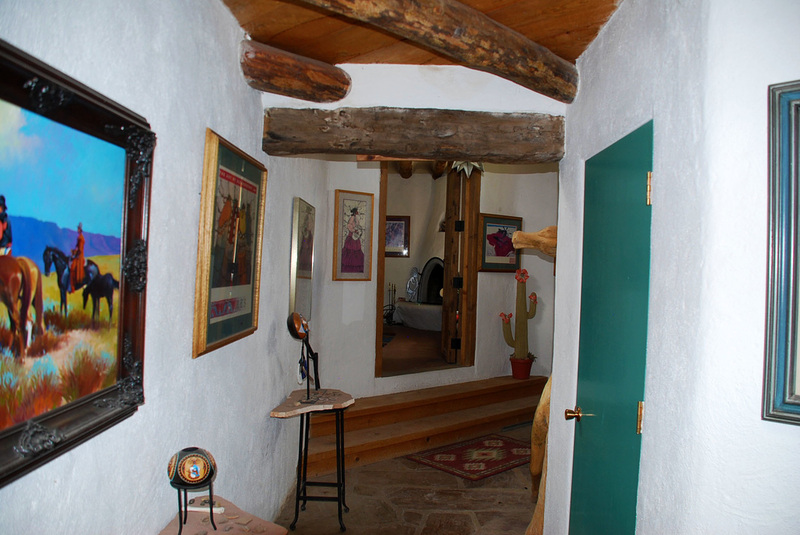 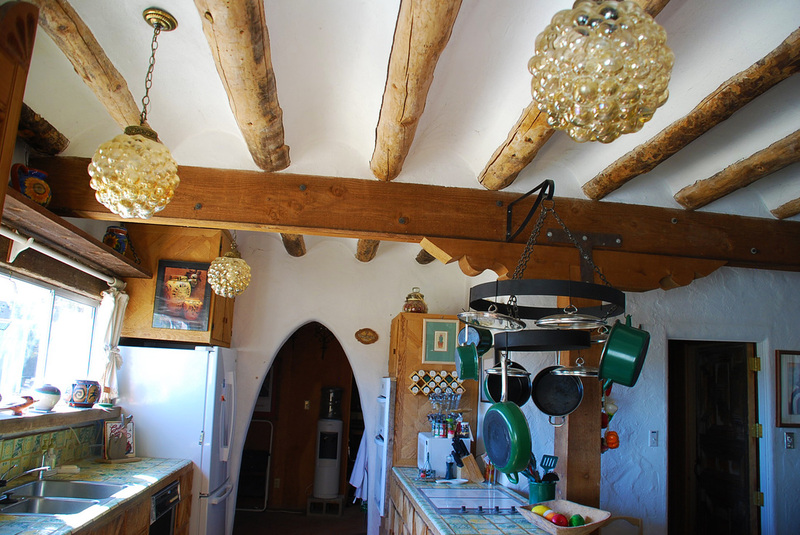 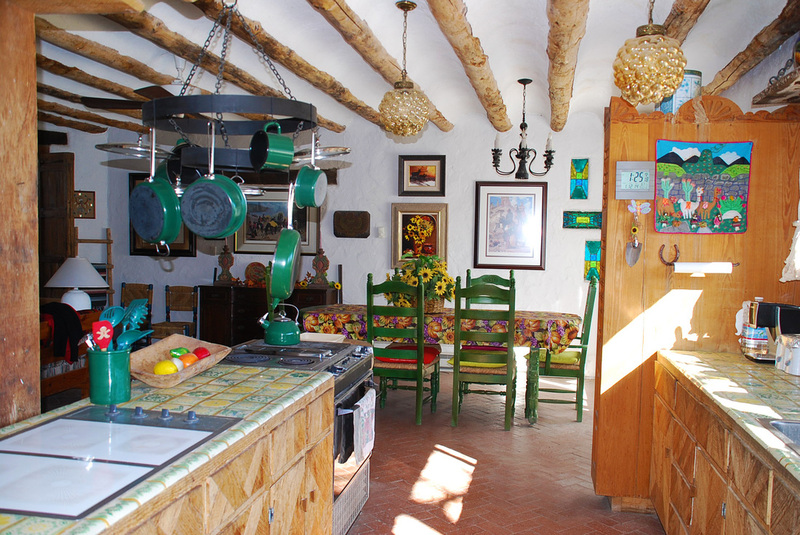 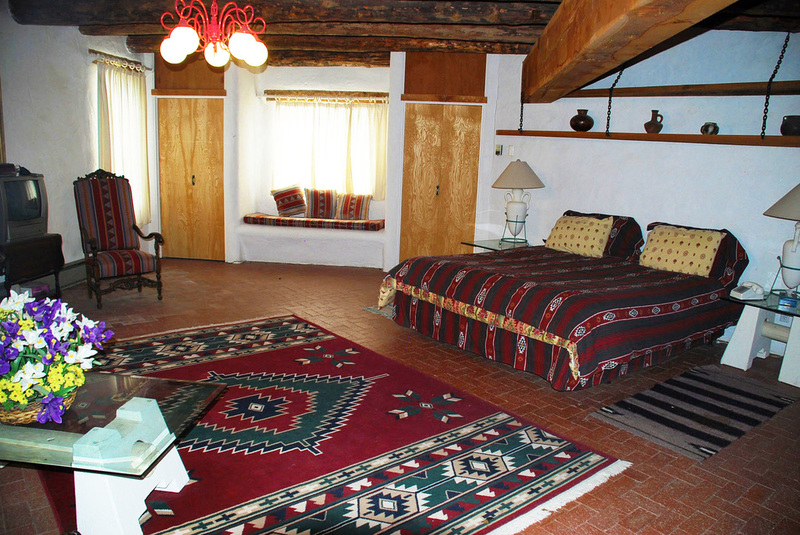 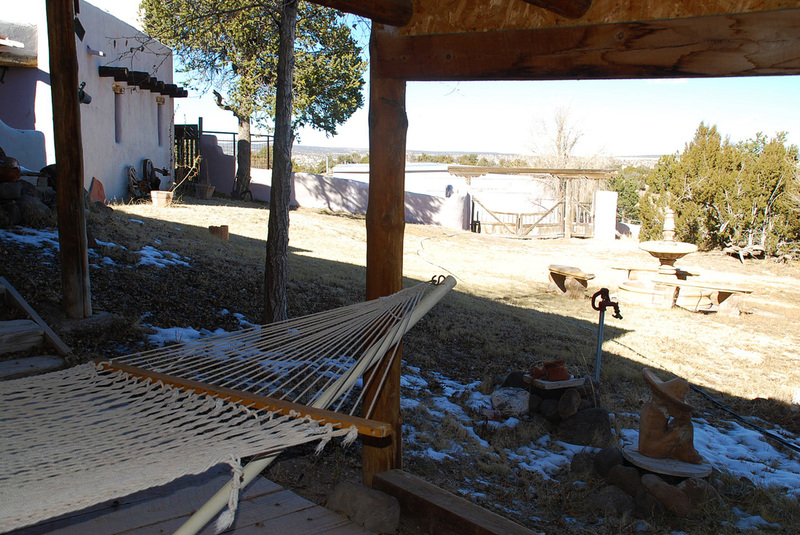 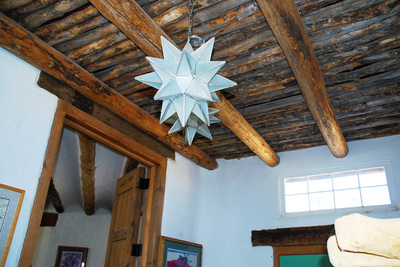 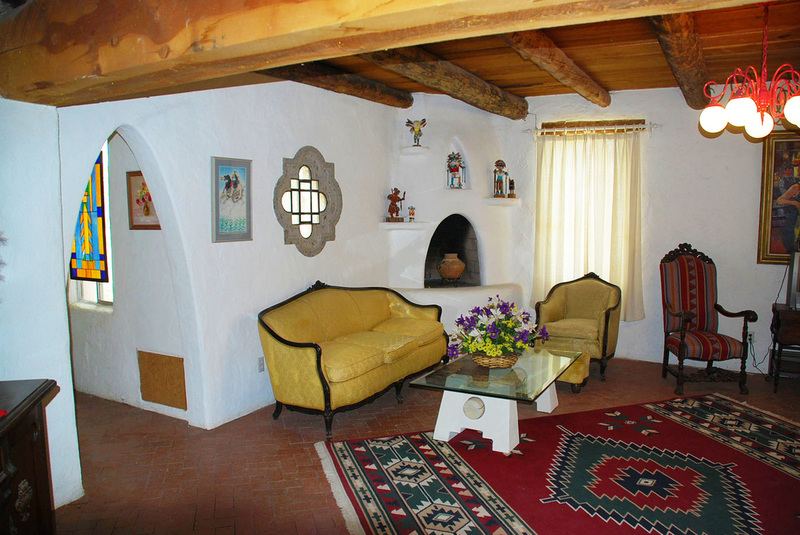 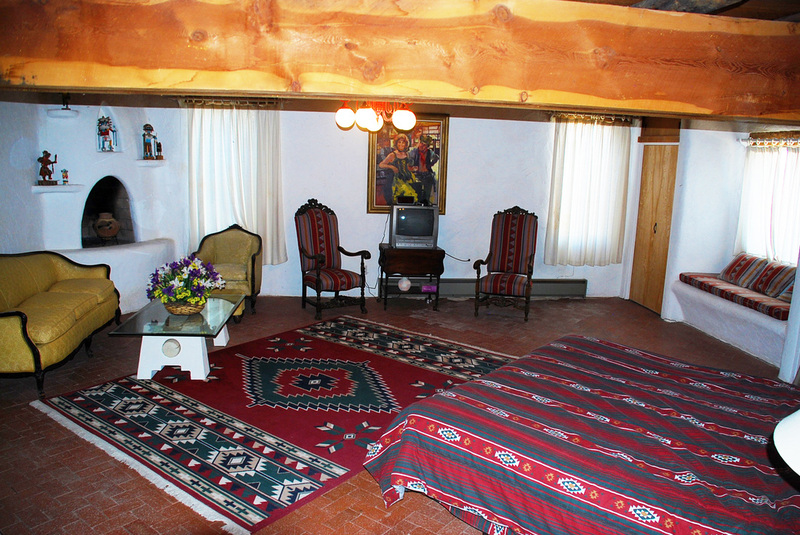 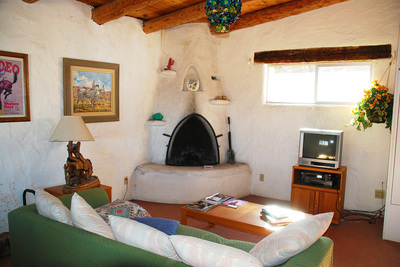 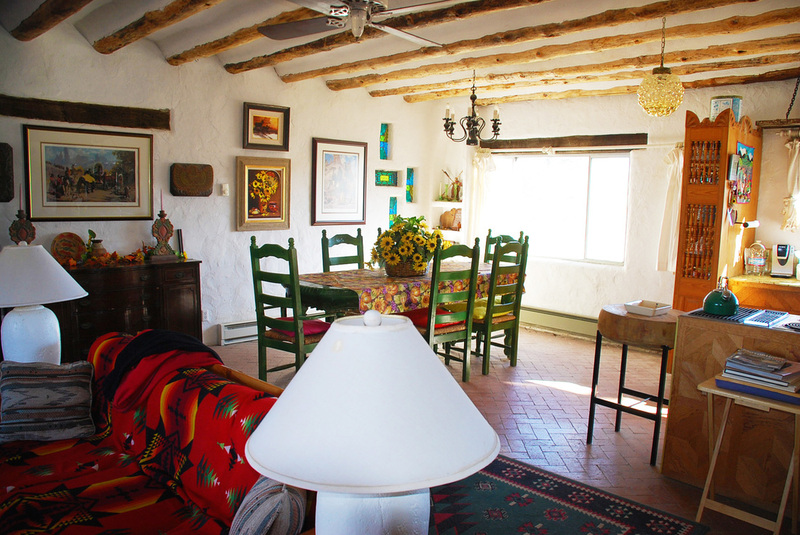 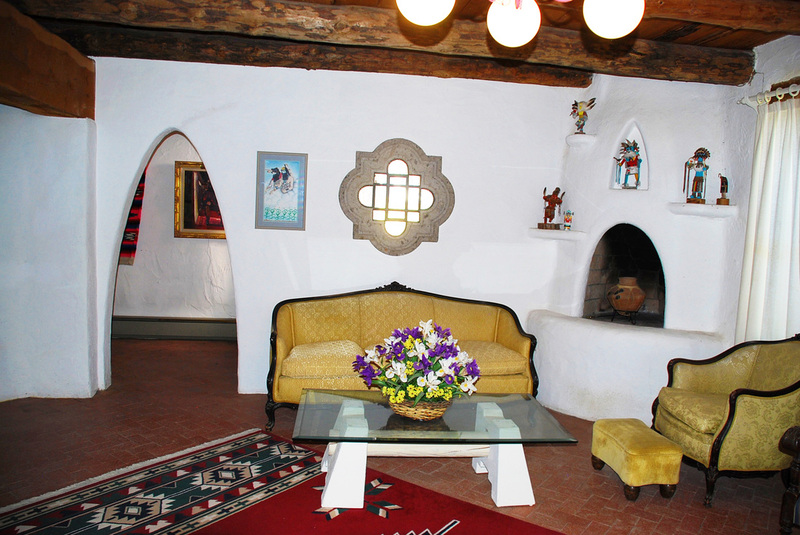 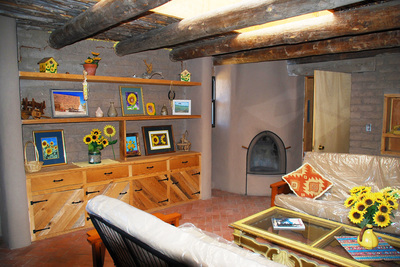 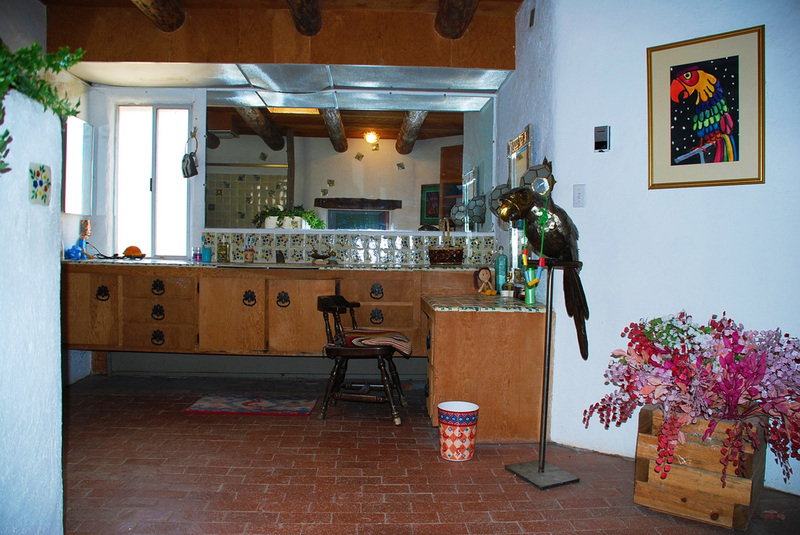 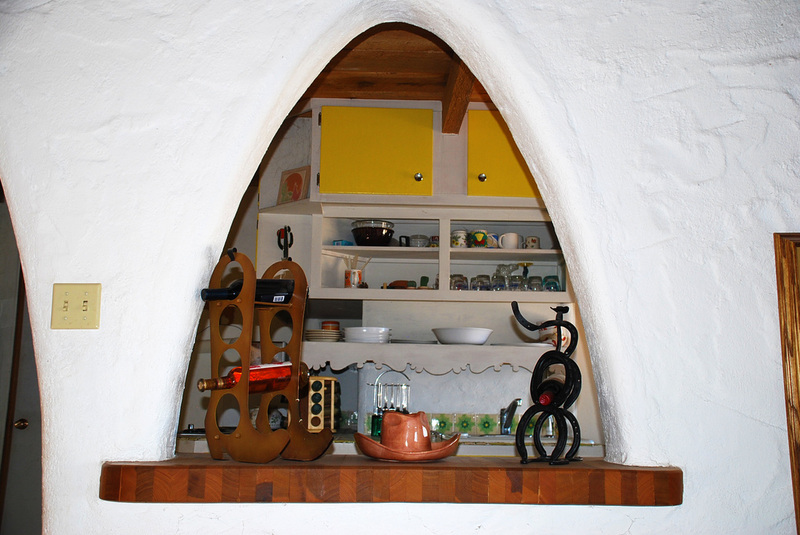 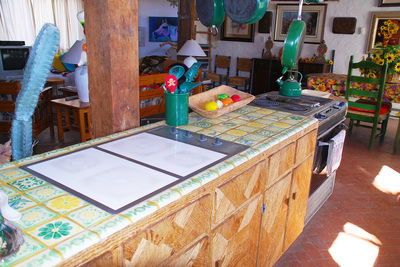 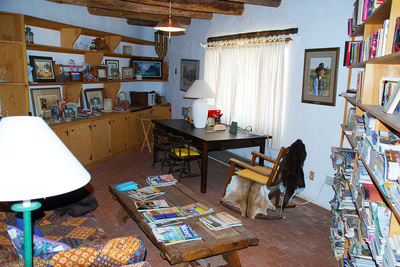 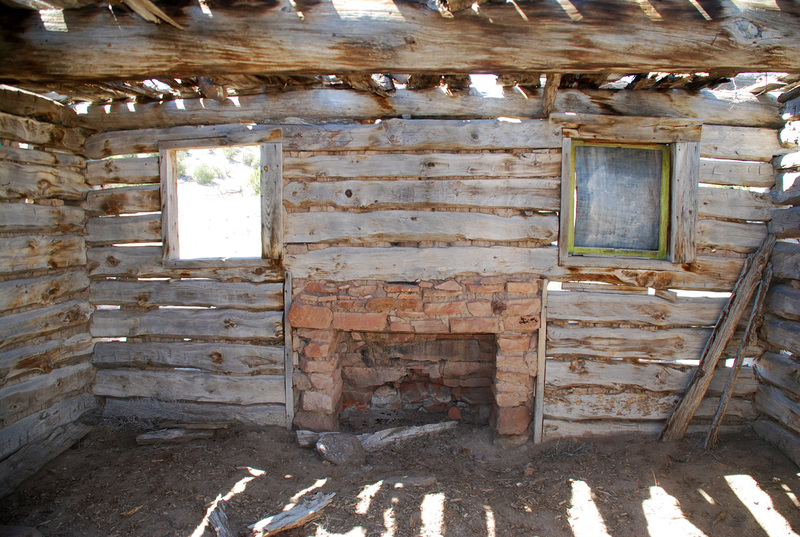 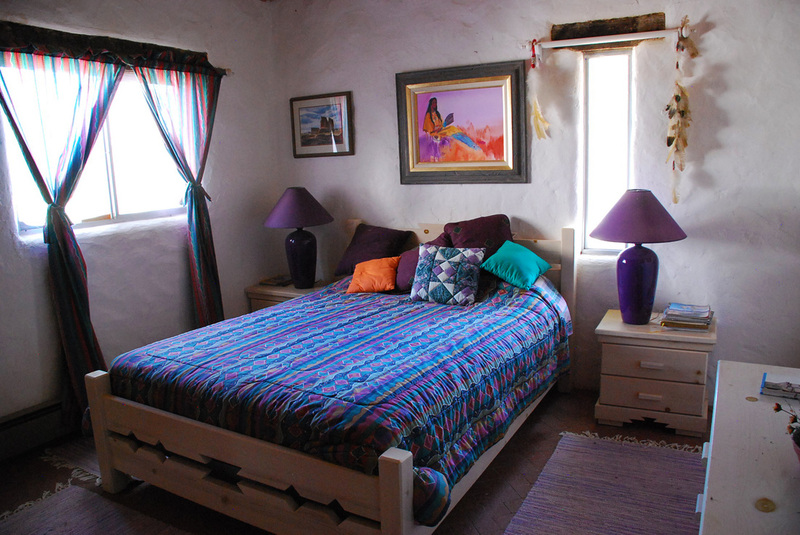 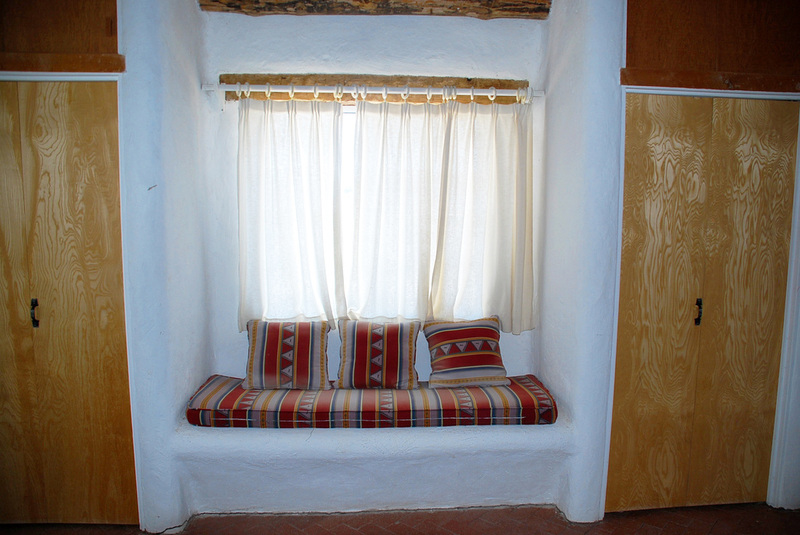 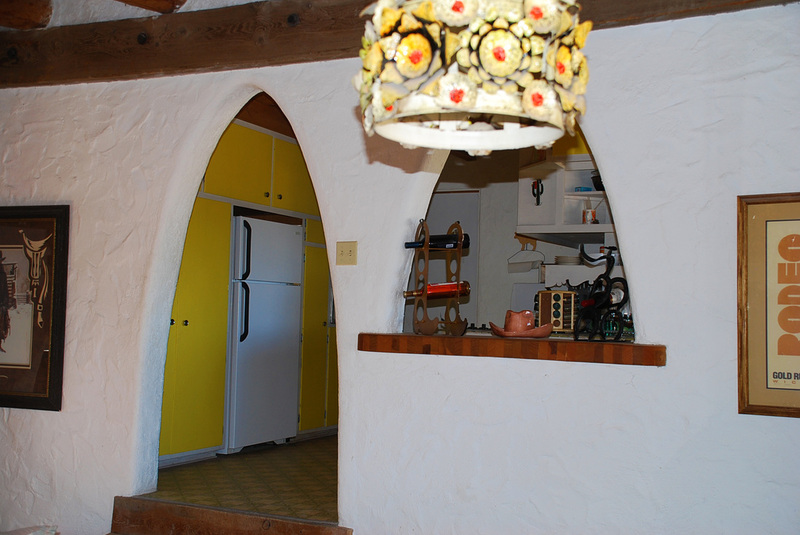 The hacienda has 5 beehive fireplaces and the heat is from hot water baseboard heaters throughout. 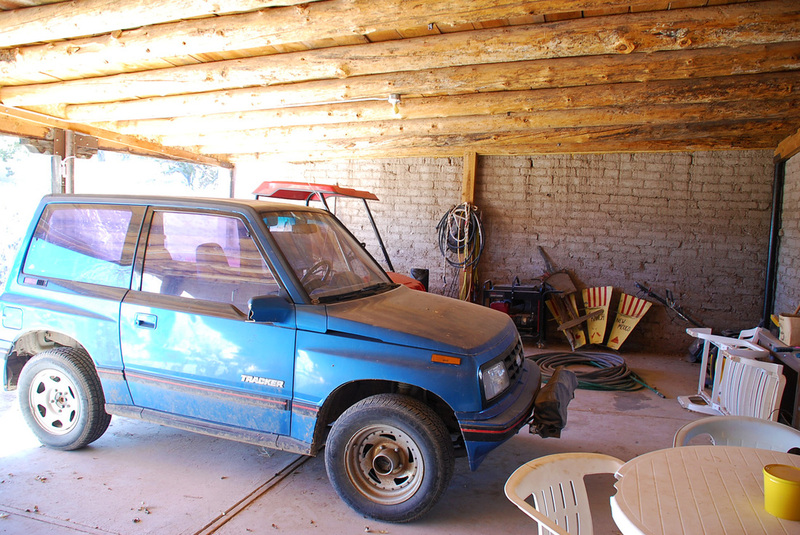 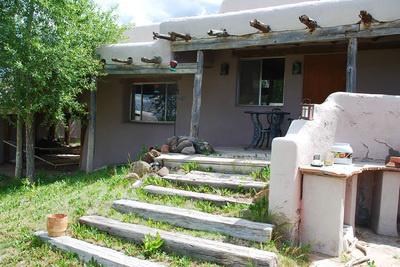 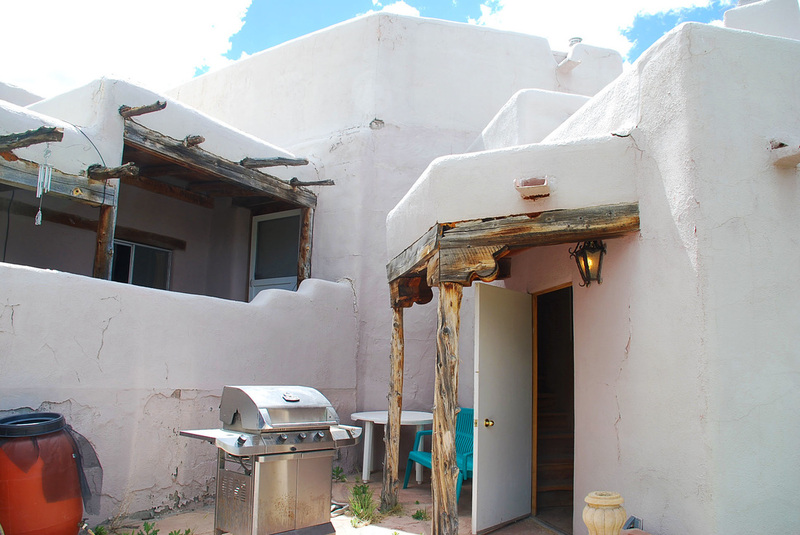 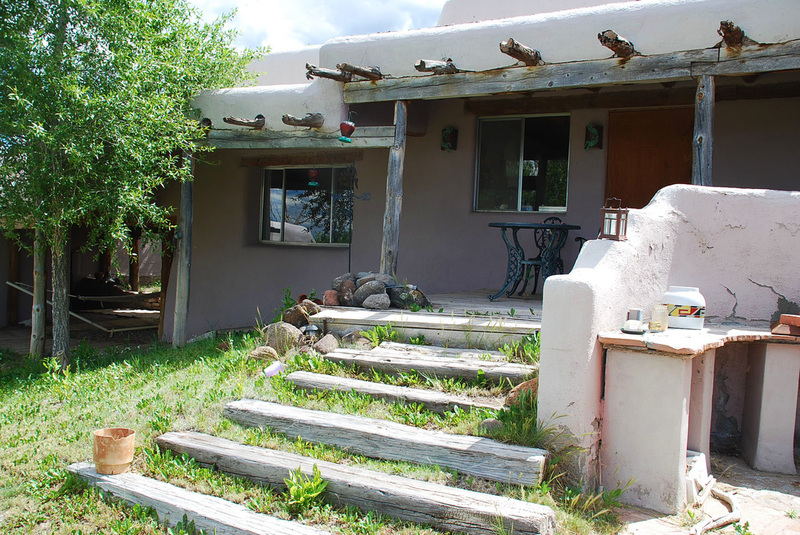 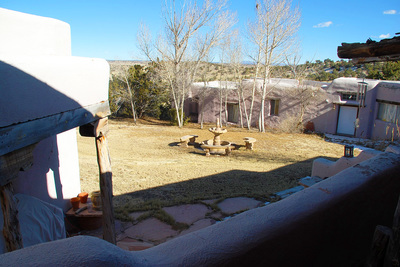 All floors are brick on sand except in the Studio and some of the 770 sqft Guest Apartment which has 1 bedroom, a living room, kiva fireplace, and 1 bath. 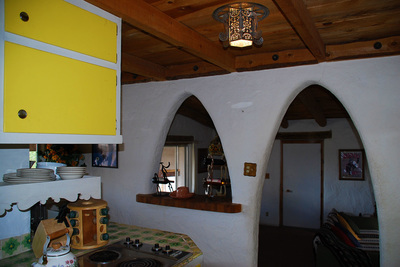 The Kitchen is hand-crafted of paquetry cabinets and trastero, Mexican tile counters, a Jenn-Air range with convection and conventional oven, plus a Corning cooktop, double-wide refrigerator, a walk-in pantry as well as a swing-out pantry. 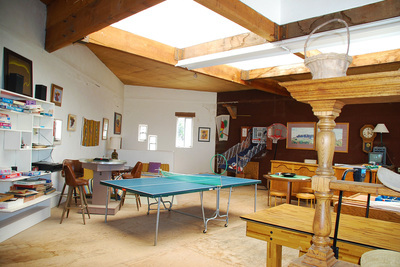 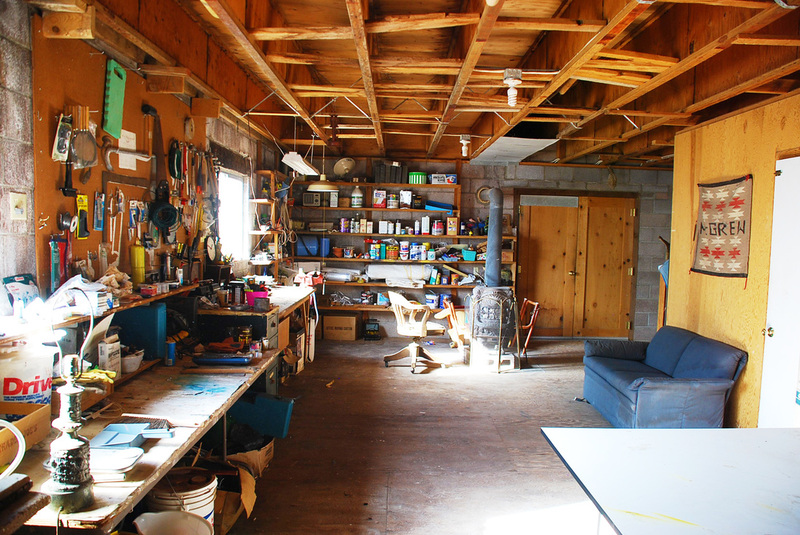 The 2,624 sqft Studio is a professional artist's studio with north light, 4 skylights, large pane windows, and an auxiliary wing and auxiliary rooms for equipment, frames, library, drawing tables, files, props etc. 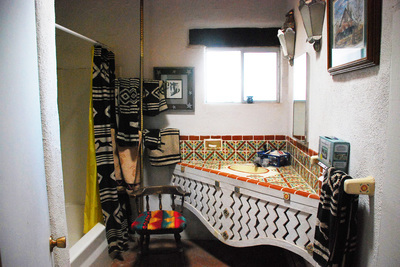 There is a 1/2 bath in the Studio wing. 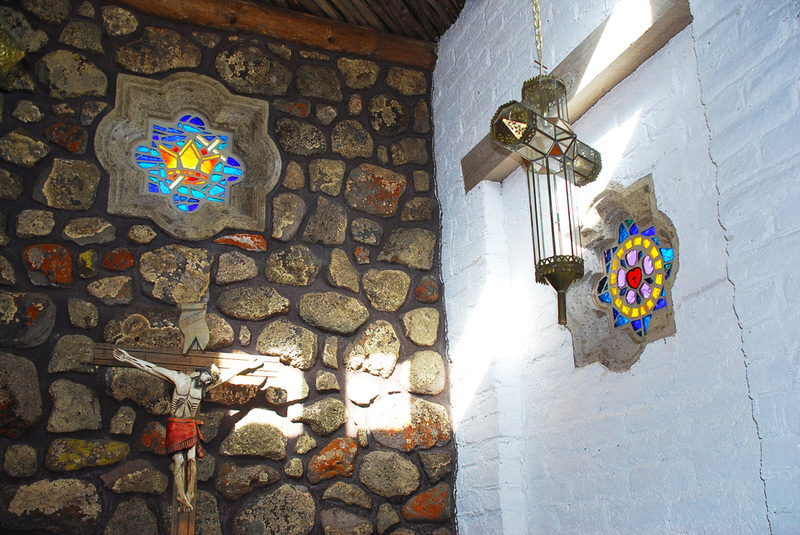 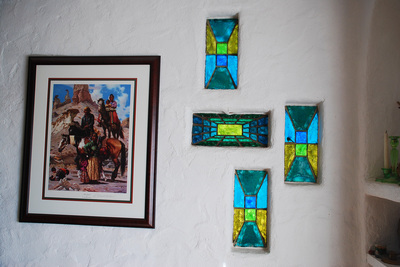 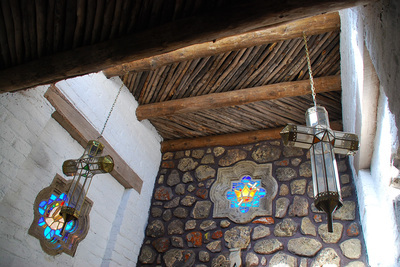 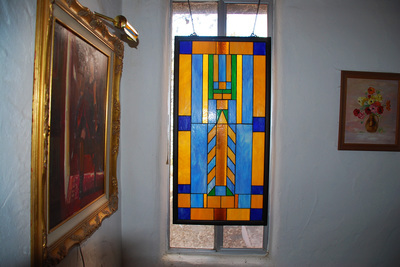 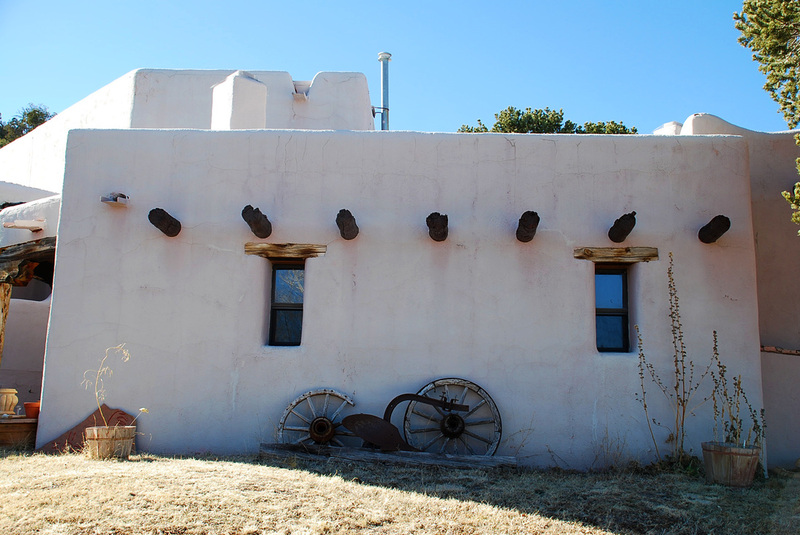 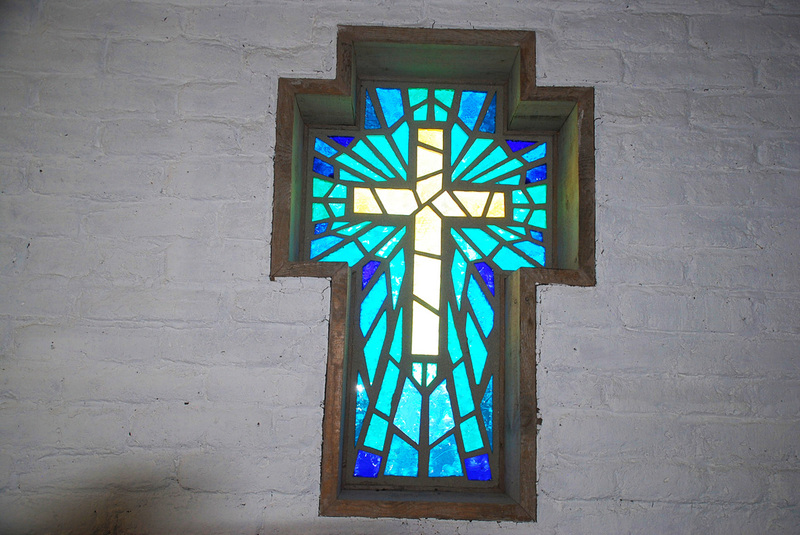 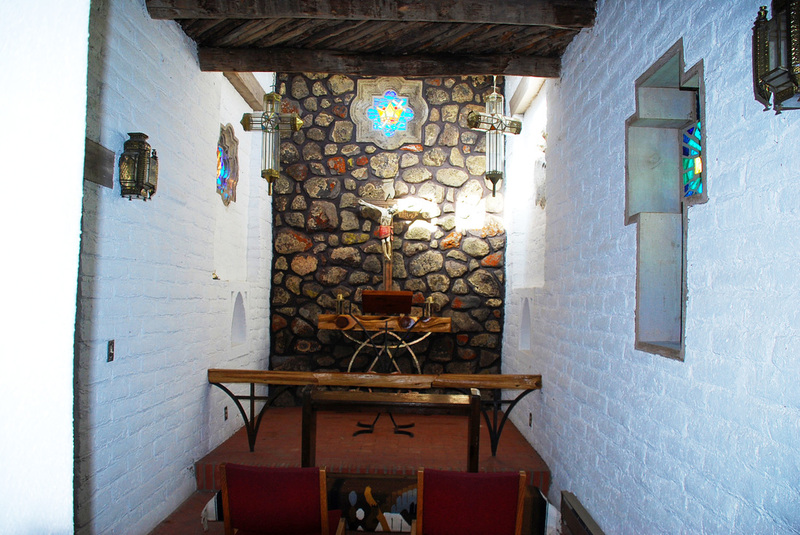 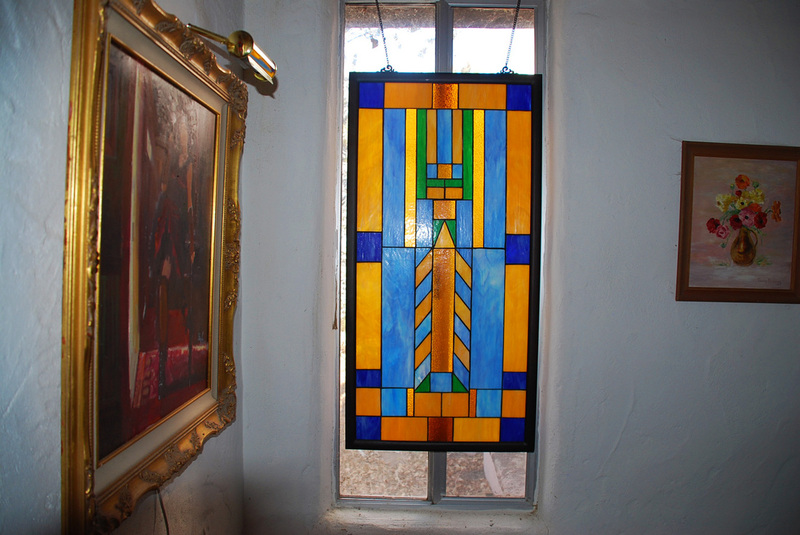 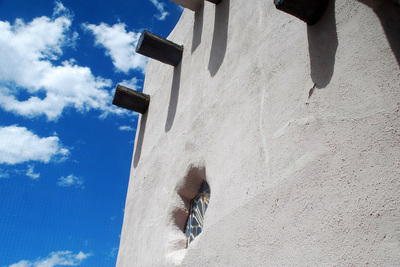 The wing also includes an indoor sanctuary with a small chapel, stained-glass windows and built with indigenous materials/adobe brick. 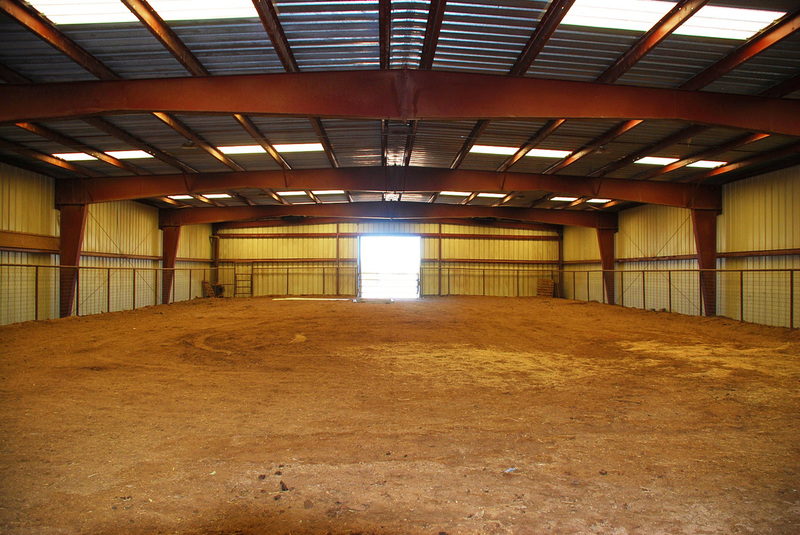 Total living space is 5,617 square feet. There is a walled courtyard which features ornamental hand-crafted gates. 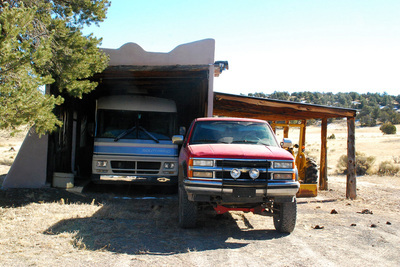 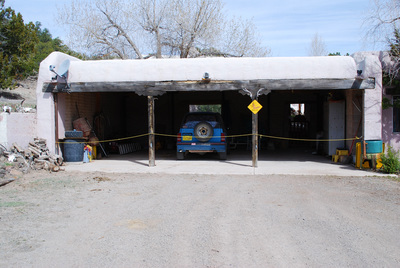 Auxiliary buildings are 2 large shops, one with large storage loft, portales and.a 576 sqft carport for 6 vehicles. 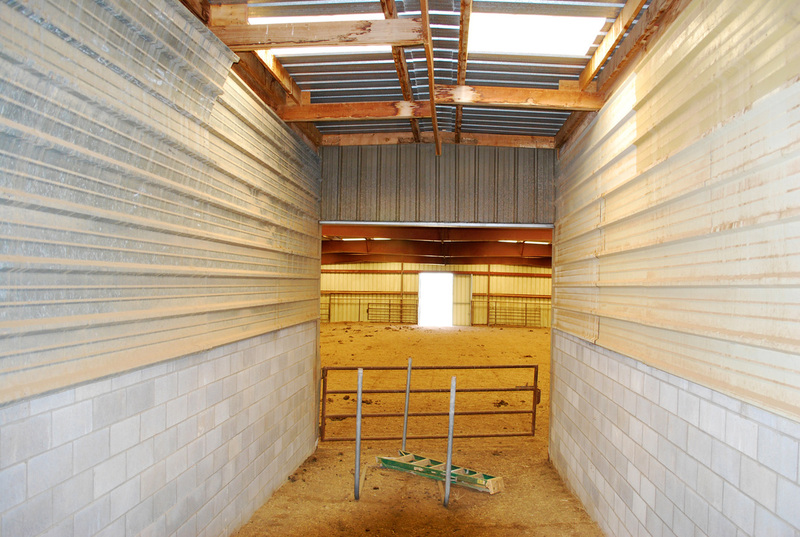 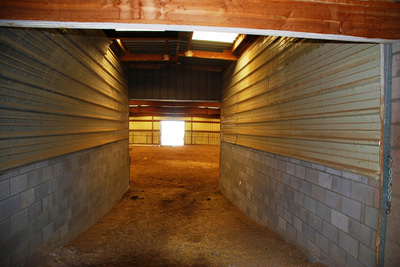 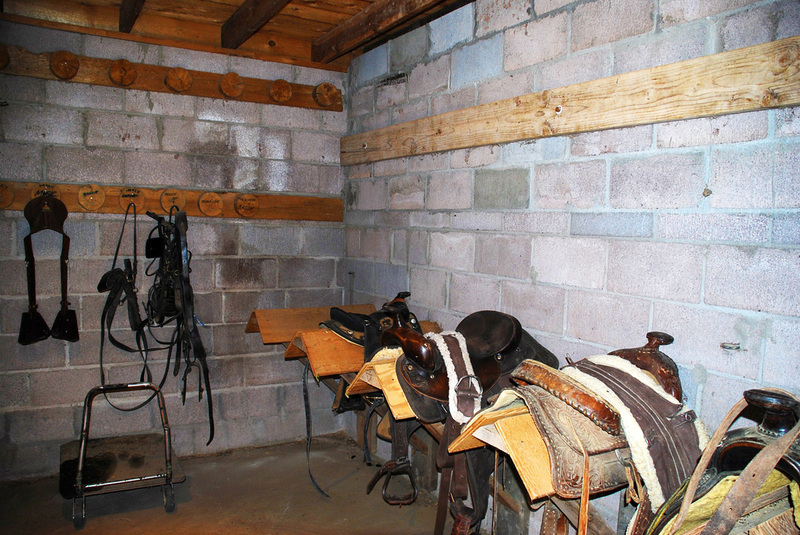 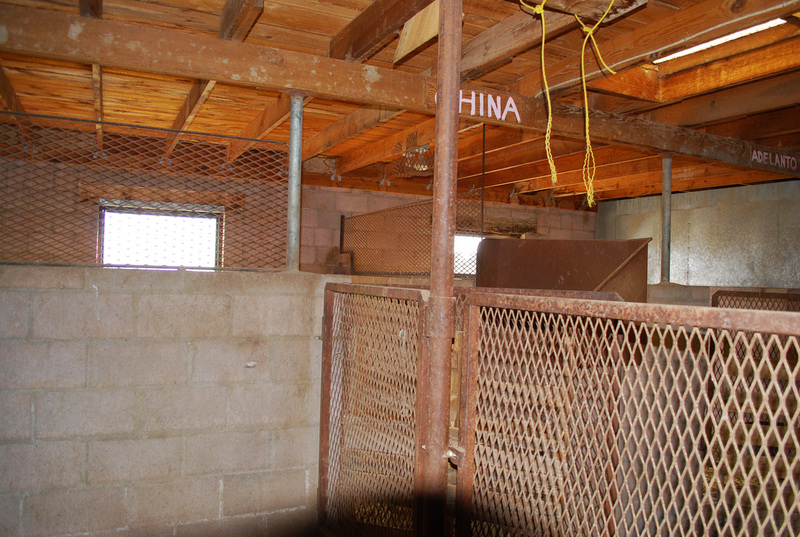 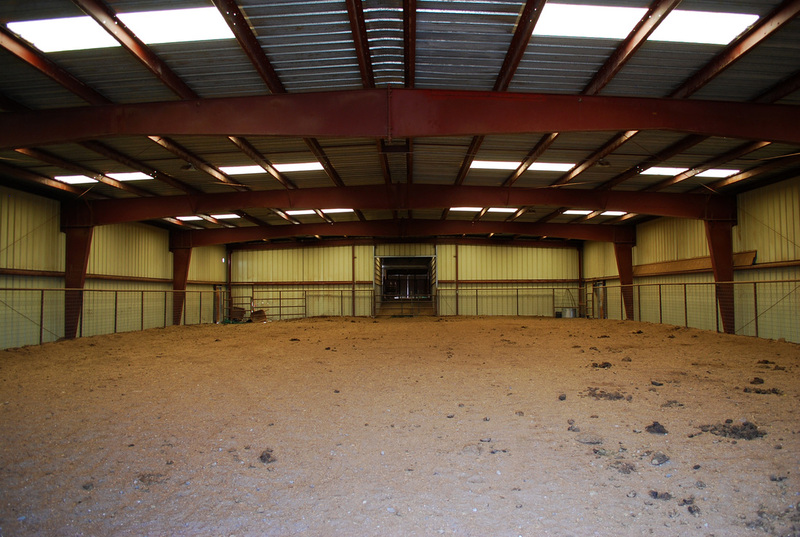 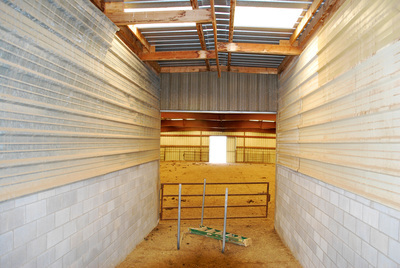 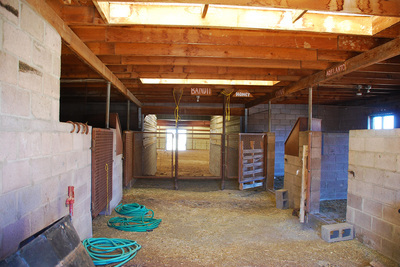 Horse and Stock facilities: The covered, enclosed and lighted riding arena is 70'x120'in size and includes a 5-stall barn, feed room, tack room, hay storage, cattle corrals, loading chute, outdoor hot-walker for horses, outdoor corrals, 3 working wells (2 domestic, 1 agricultural). 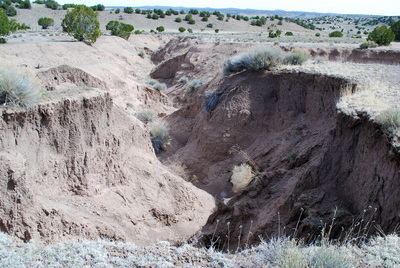 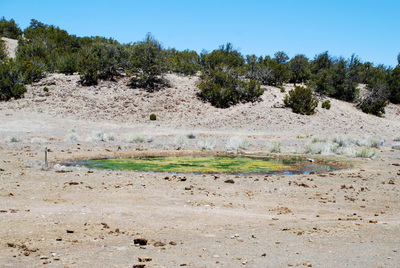 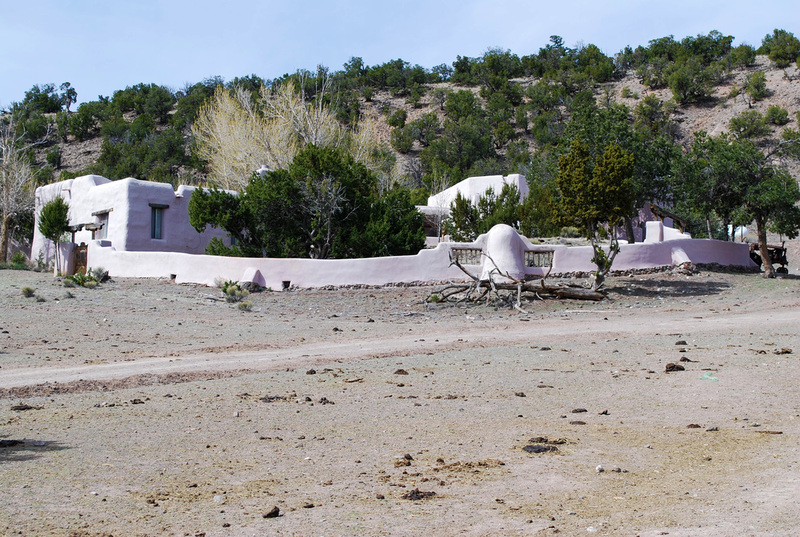 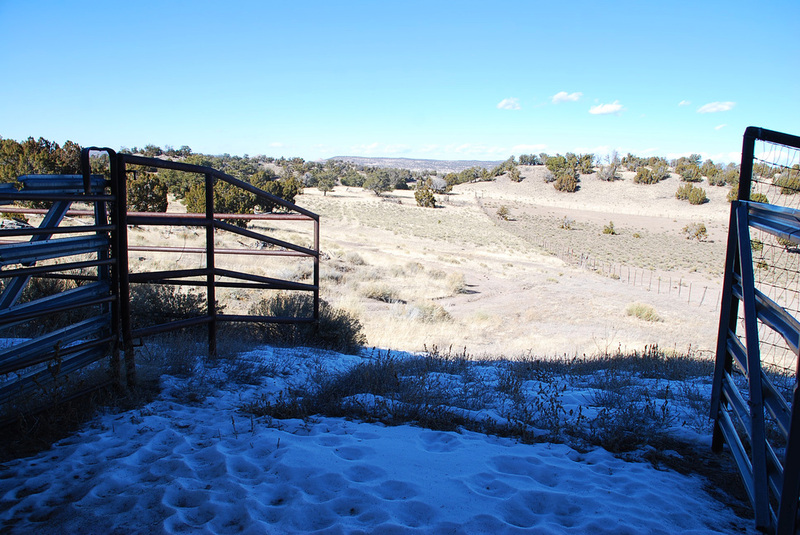 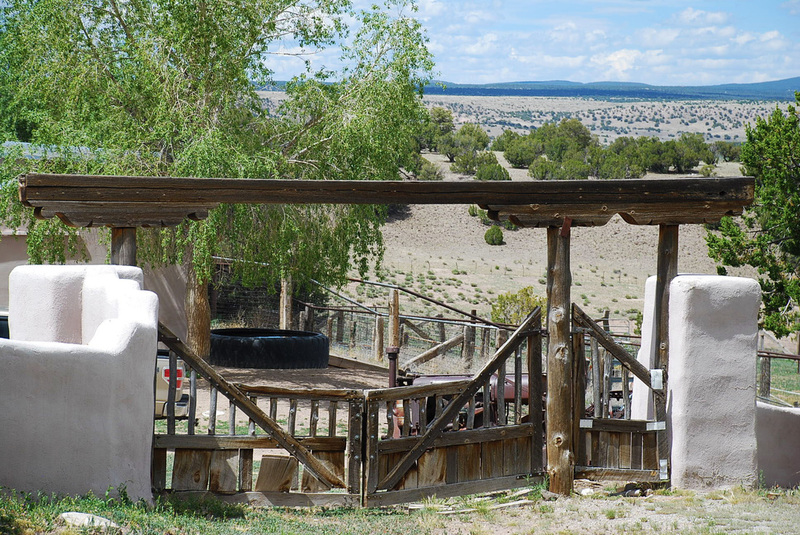 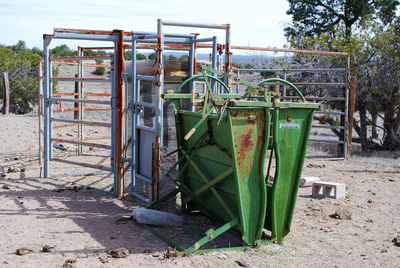 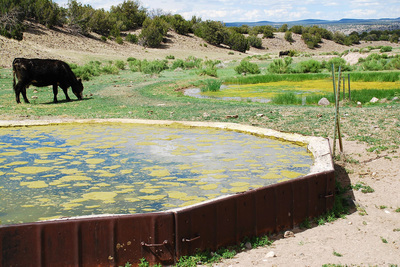 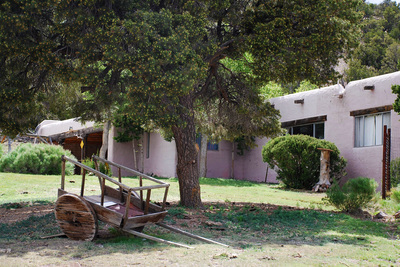 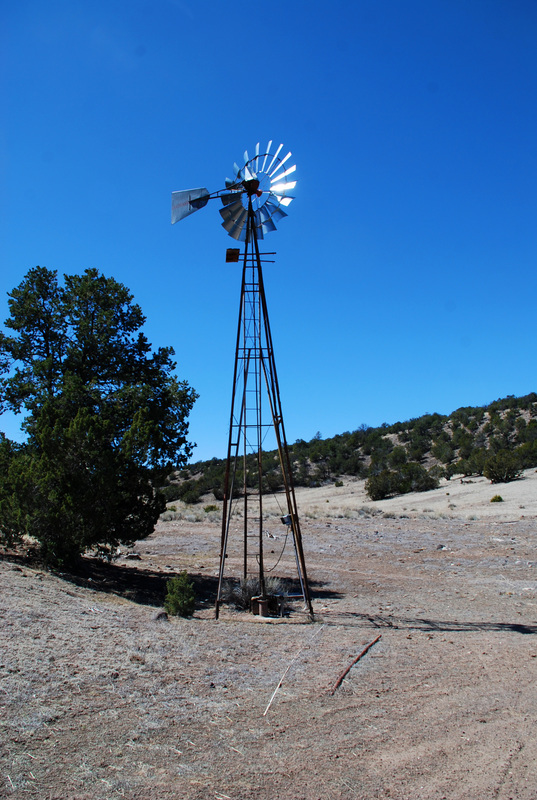 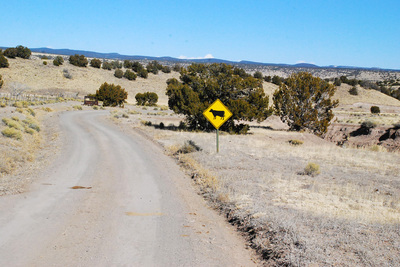 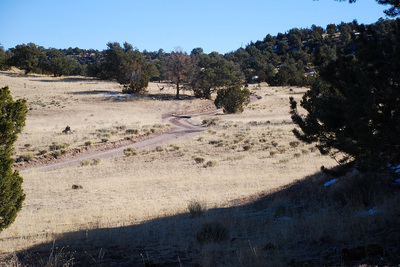 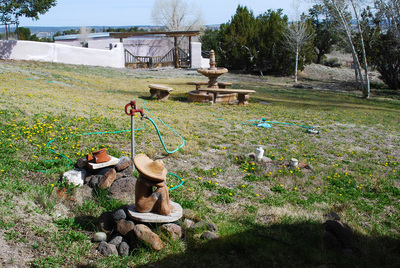 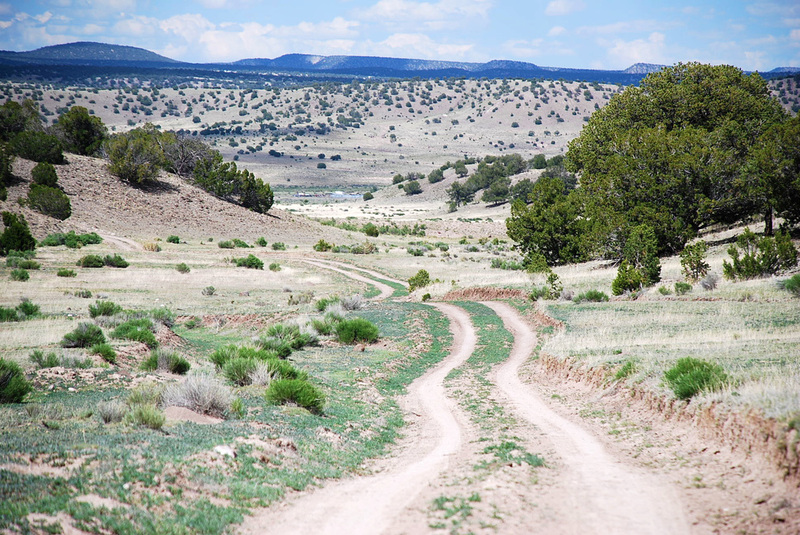 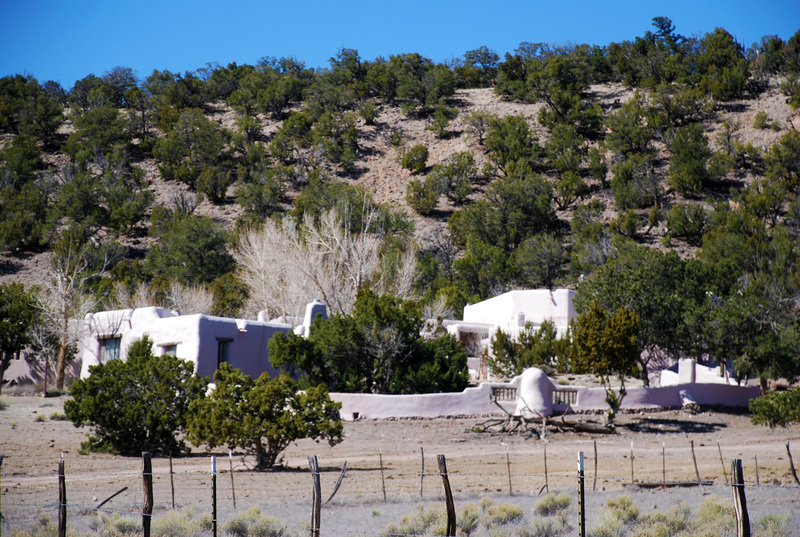 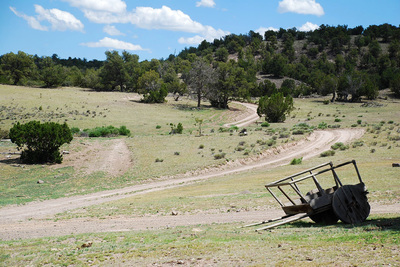 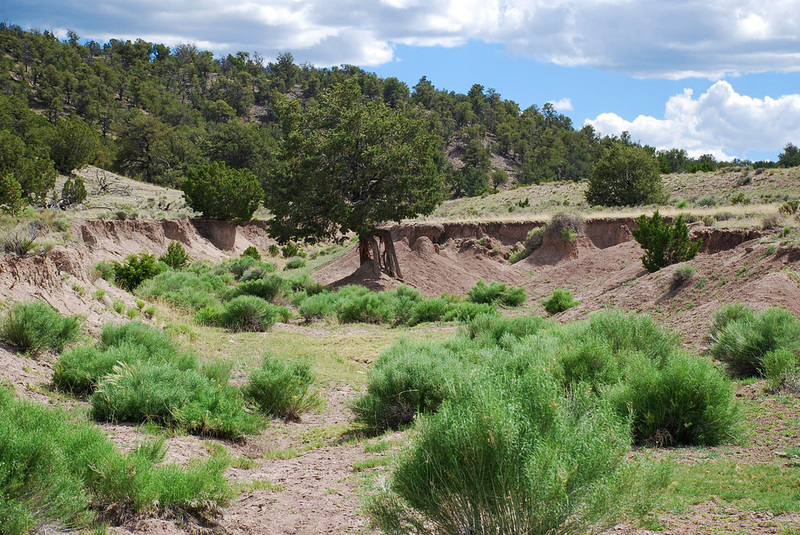 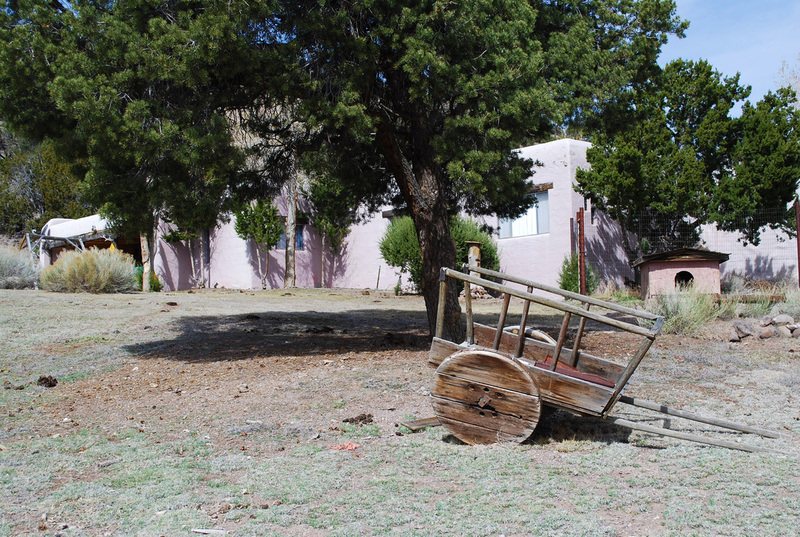 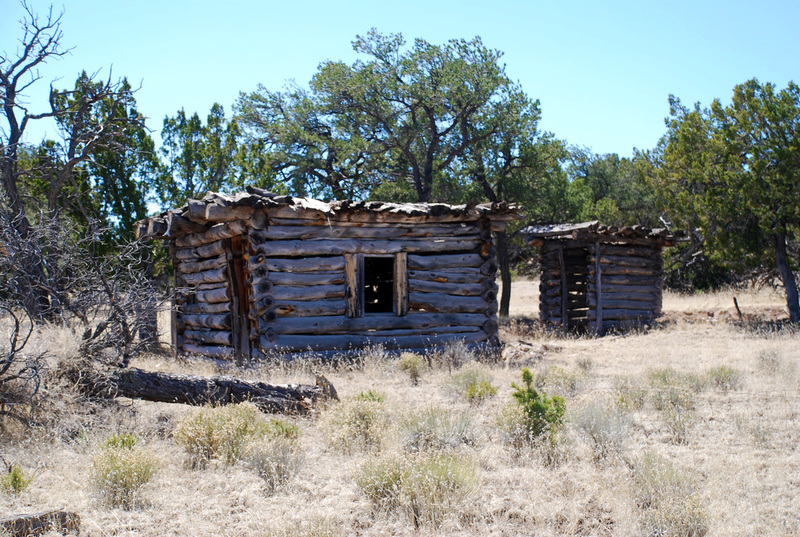 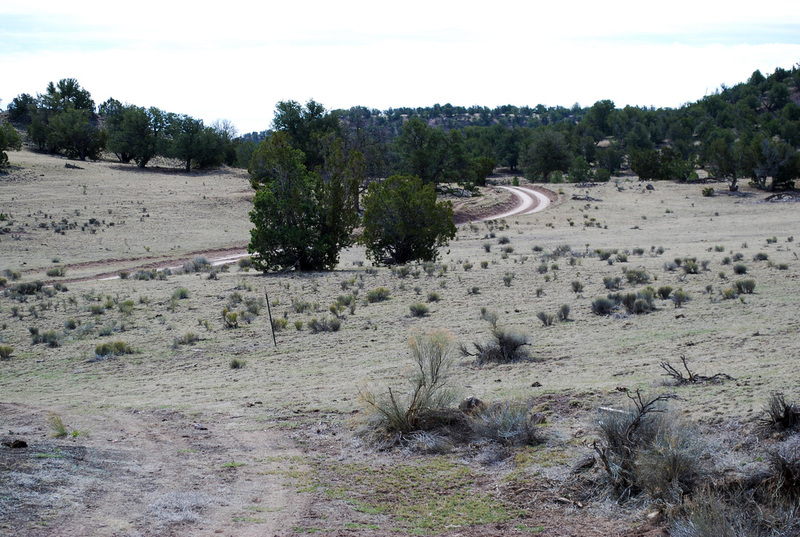 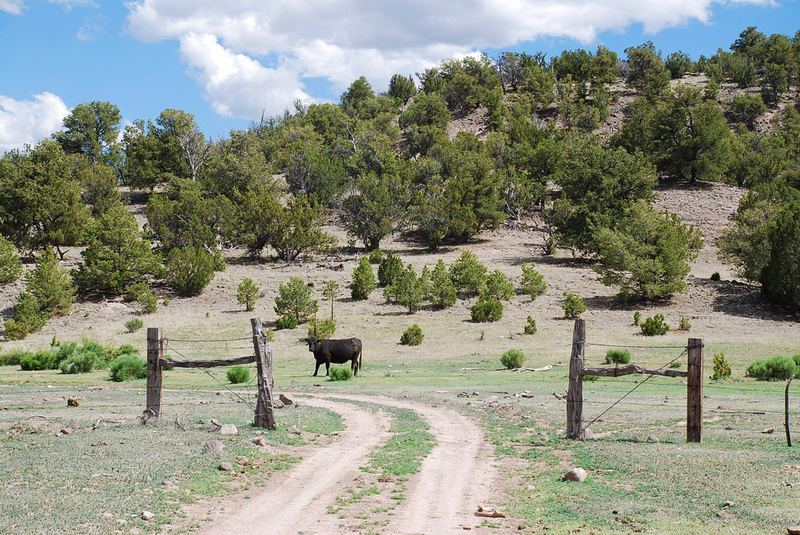 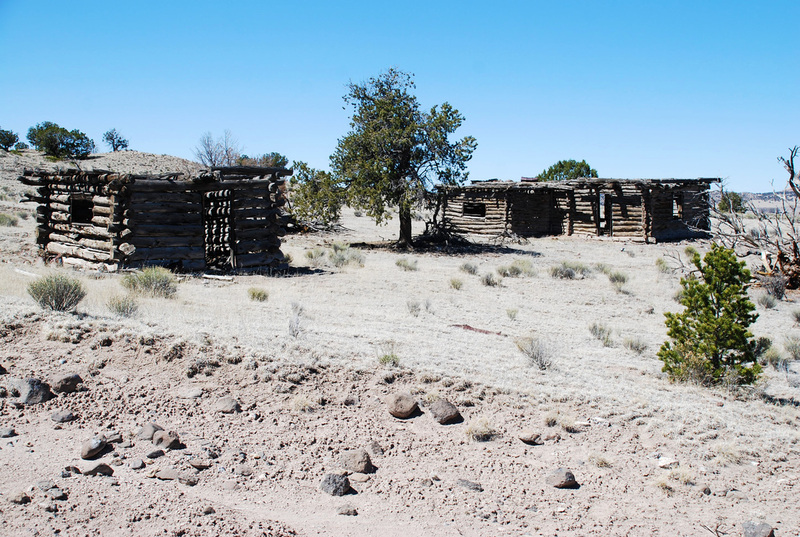 The BLM Allotment is for 34 Animal Units year-round, the ranch carries a total of 55 AU's. 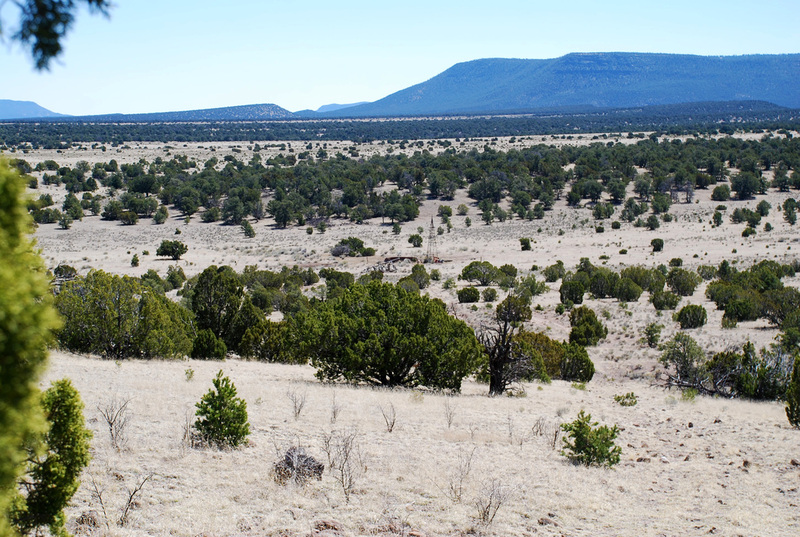 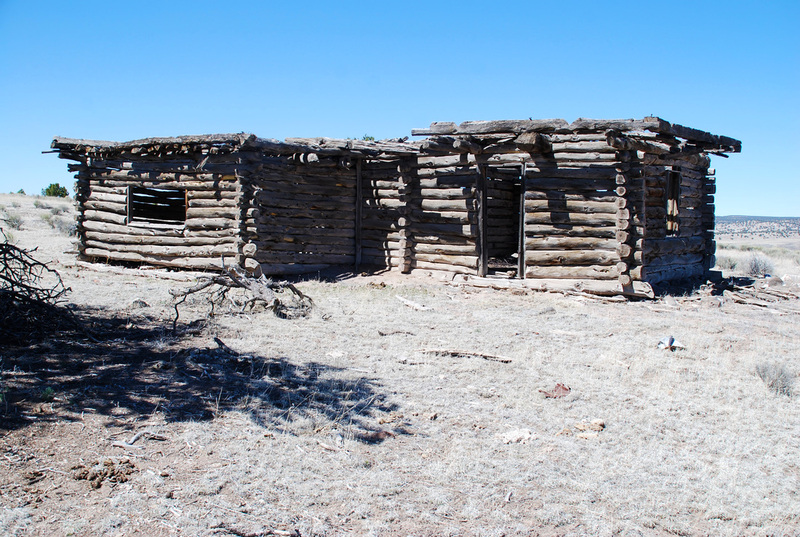 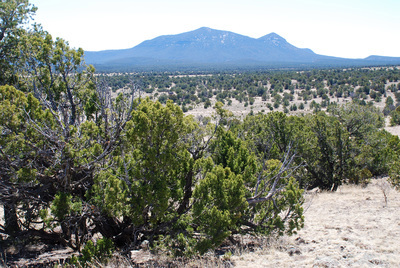 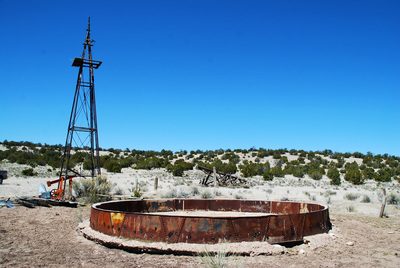 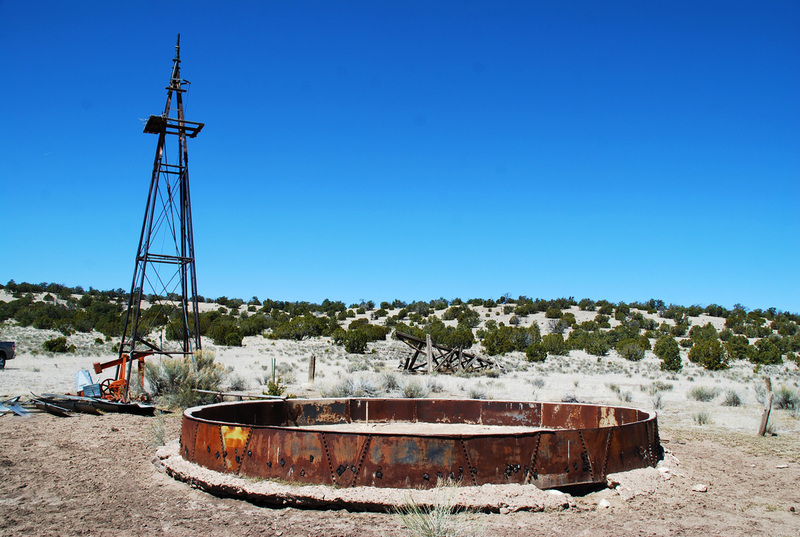 The ranch is a hunter's paradise in New Mexico Big Game Hunting Unit 15 and has been leased by outfitters for many years. In the past the owners have been awarded consistently 2-3 Bull plus 3-5 cow permits. 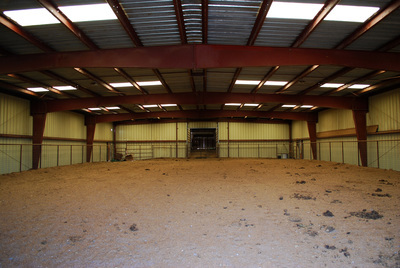 With an indoor arena this size there is year-round horseback training capability, and during the summer months the ranch could be run as a dude ranch operation.